Bruges is the ultimate photographers’ dream. At almost every corner, there’s a chance to uncover a picturesque little scene that will make you want to grab your camera. It is one of the most well-preserved medieval towns in Europe and as such its historic centre is a UNESCO World Heritage Site since 2000. It is a treasure trove of Renaissance and gothic architecture. I recently spent an afternoon in the ‘Venice of the North’ and these were the 5 most instagrammable spots I found, but of course there are many more. I’m only really scratching the surface with this post. Generally, my favourite thing to photograph was the cobbled streets, not one in particular but I especially loved the ones lined with rows of houses with crow-stepped gables, typical of Dutch and Belgian architecture. The one pictured above is called Sint-Jakobstraat and it’s quite magical really. First you’re met with an old-looking well, next to it there’s this cute homeware shop ‘Serendipity’, doors and windows are painted in a vibrant blue and just behind the bend, you’ll be met quite unexpectedly with the majestic St James Church. Now onto the 5 best photo spots in Bruges. Located in the heart of Bruges, Markt is the city’s main square. It is surrounded by colourful guild houses that have now all been converted to restaurants. There’s also the West Flanders Provincial Court, the Belfry and its courtyard called the Cloth Hall, the statues of Jan Breydel and Pieter de Coninck who fought in the Flemish resistance, frietkotten (chipper stalls) and horse carts. On Wednesdays, it is market day, a function the square has taken since 958. This medieval bell tower was once an observation post to spot fires and other dangers but today, you can climb the 366 steps to access the best view of Bruges. At 83m (272 feet) high, the views over the city and around will take your breath away. I especially loved seeing all the colourful houses on Markt from above. Please note that the staircase is really quite narrow so best keep the climb for off-peak times. This cinematic corner where the Groenerei and Dijver canals meet is one of the most photographed spots in Bruges. Rozenhoedkaai, meaning ‘Quay of the Rosary’, refers to a time where the rosary sellers would set up shop here, back in the 15th century. Before this quay was a port for salt traders who would come here to moor their ship and unload their merchandise. Today, this is the starting point of many boat trips and a view that tourists from all over the world come to capture. Located in the peaceful Arents courtyard, Bonifacius bridge is one romantic-looking little bridge. It spans over a murmuring canal lined with overhanging half-timbered houses with tudor-like windows. The scene couldn’t be more idyllic. Overlooking the bridge is Church of Our Lady which is the tallest building in Bruges. Don’t let this bridge’s old-worldly charms fool you, it is actually one of the youngest bridges in the city as it only dates back to the early 20th century. Blinde Ezel-straat, or ‘Blind Donkey Alley’, is the narrow street that joins Burg Square to the Fish Market. With your back to the Fish Market, you’ll see the gorgeous baroque archway that connects the City Hall to the Old Courthouse. Those types of bridges always evoke hushed secret meetings to me. If you wonder where the name of this street comes from, there’s a legend attached to it. The story says that when people from Ghent came to steal Bruges’ dragon, they transported it on a cart pulled by a donkey. To stop their escape, the people from Bruges decided to blind the poor animal and this is where they rescued the dragon. Another explanation, a bit more sensible this one, could stem from the name of the inn that once was located on this street. Its name, The Blind Donkey you might have guessed it, was a reference to the donkeys that were working at the treadmill of the malt house. It was custom to blindfold them so they don’t get bored. 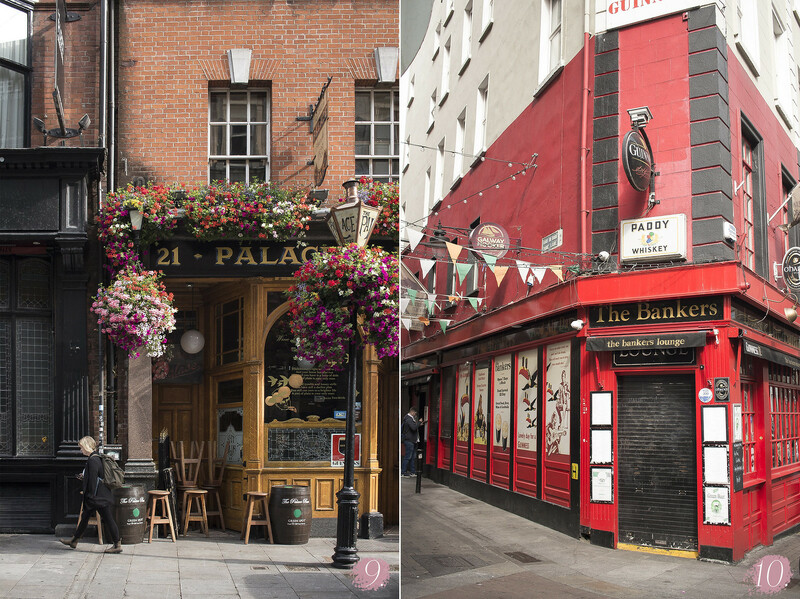 With Valentine’s Day fast approaching, I thought it would be fun to come up with a walkable day itinerary of sweet little activities in Dublin to do with your boo, tailored for all you lovers out there (with map included at the end of this post). 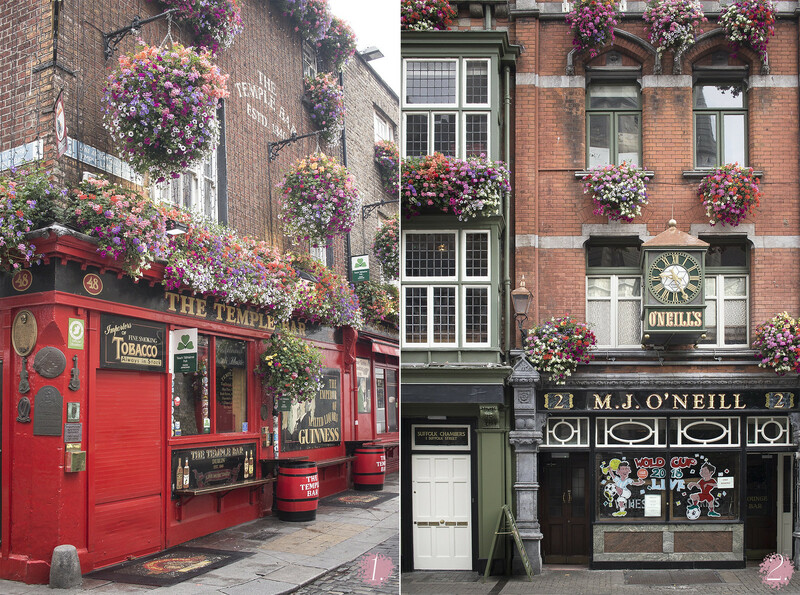 If you picked the Irish capital for a romantic getaway, I’d argue you’ve actually come to the right place. 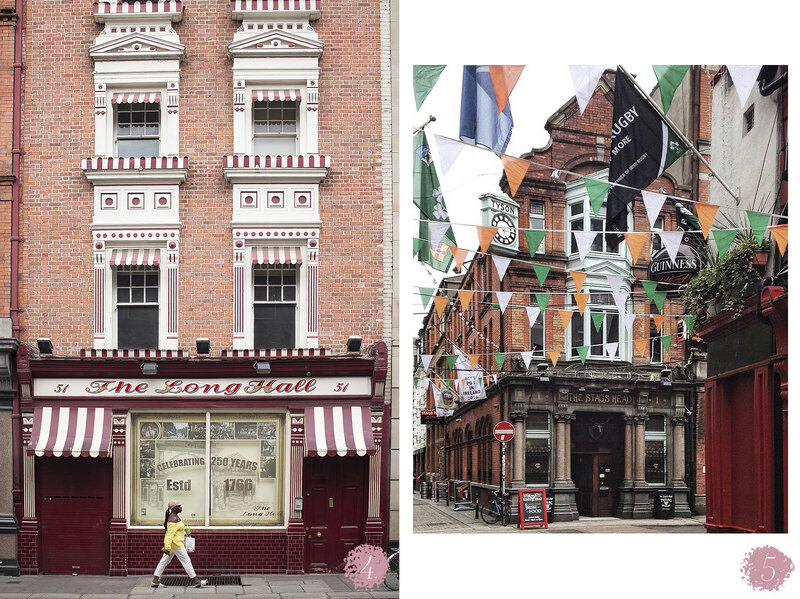 Not only does the city’s architecture lend itself perfectly for a romantic stroll but it’s also a city that inspired countless love stories, passionate (James Joyce and Nora Barnacle), hopeless (W.B. Yeats and Maud Gonne), tragic (Joseph Plunkett and Grace Gifford) or fictional (Guy and Girl in the Oscar-winner film, Once). 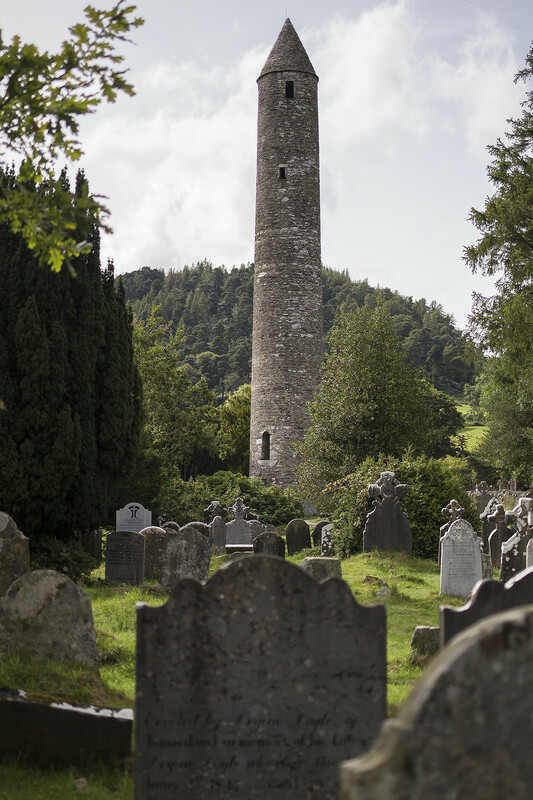 And lastly, you might be surprised to learn that Dublin is one of the resting places of Valentine, saint patron of lovers. If that’s not a sign you should come to Dublin to celebrate your love, I don’t know what is! On Valentine’s Day, the box holding his remains is displayed on the church’s altar and couples flock here to have their rings blessed. If your love is unrequited, you can also write your wishes in the guestbook, just under Valentine statue’s benevolent gaze. The church itself is quite an interesting place too, the moody dark byzantine architecture is quite unexpected in the Dublin’s landscape. If you’re visiting on a Saturday or a Sunday, go to Whitefriar Grill, located just across the street for your first meal of the day. 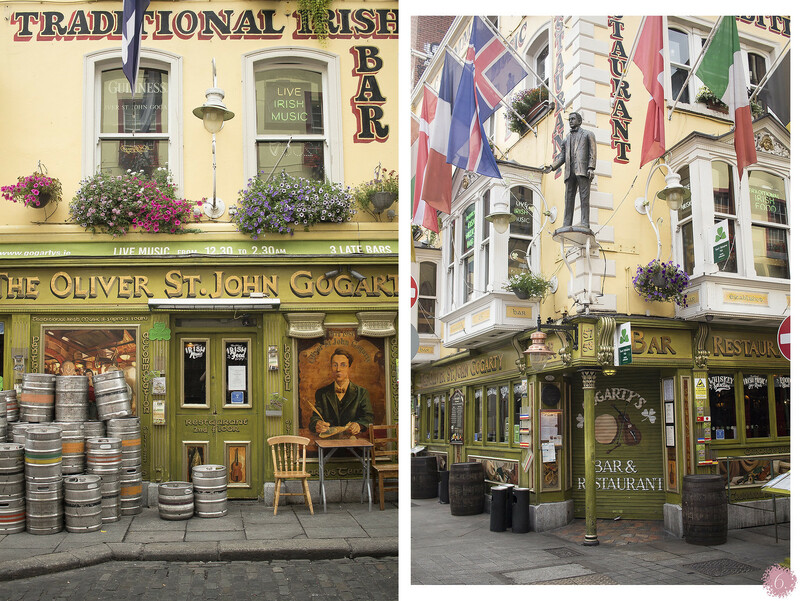 It is a bit of a weekend brunch institution in Dublin. Then let’s do a spot of shopping! In keeping with Valentine’s gifting traditions, your first port of call is Parfumarija. This beautiful boutique, located in the Westbury mall, specialises in niche perfumery. This will make for the perfect opportunity to get close to each other while maybe picking a very special scent that will truly be unique to your partner. 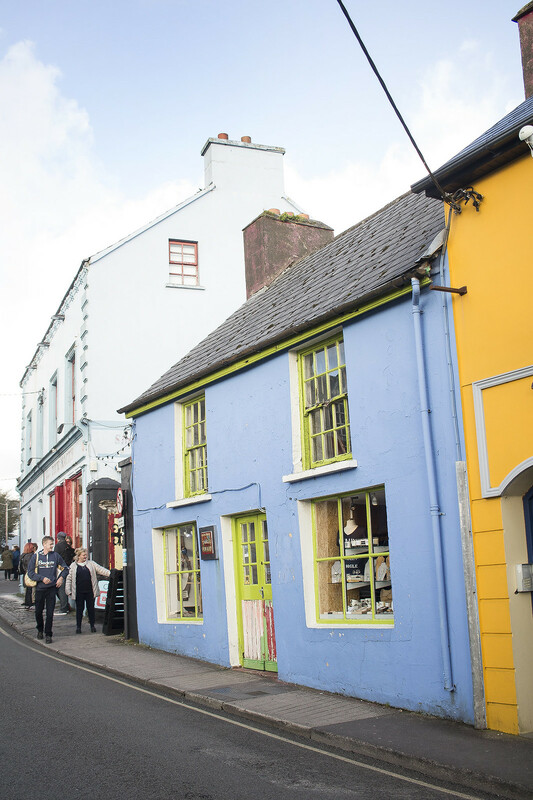 From there, you can go to Avoca, the iconic Irish homeware shop on Suffolk Street. Every item there is pretty much a dream but their classic wool throws are a must-buy. Those cold February nights when you ‘Netflix and Chill‘ on the sofa will never be the same again. For a bit of balance, let’s make our next stop cultural. In the National Gallery of Ireland, you can see one of the most emotionally-charged encounters painted on canvas. Hellelil and Hildebrand, the Meeting on the Turret Stairs. Incidentally, it is also Ireland’s favourite painting. You can view it all day on Valentine’s Day. Click here for other viewing times (it is free). The museum has a cute and bright cafe that serves good simple food if your bellies are grumbling at this point. Afterwards you can head to Grafton Street. This pedestrian street is great for a bit of arm-in-arm window-shopping. February can be brutal in Ireland so stop by Bewley’s Cafe for a hot chocolate to warm-up. Coming at the end of the street, you’ll spot the recognisable Fusiliers Arch that marks the entrance of St Stephen’s Green. This for me is the most romantic place in Dublin city centre. More precisely the little stone bridge in the middle of the park. It gives a beautiful vista on the lake and its resident swans, the Victorian gazebo and the trees. You’ll see this is a popular spot, many people stop for selfies so give in to this little cheesy tradition and ask a stranger to take a picture of you two just there. From there, you can walk to Harcourt Street where the Dean Hotel is located. 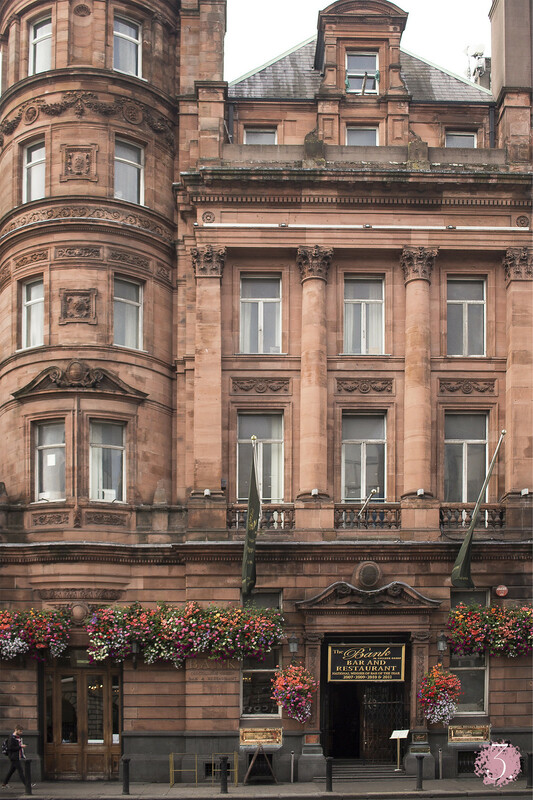 On the top floor is the uber swanky Sophie’s, a bar and restaurant with 360° panoramic views over the fair city. This place is the perfect spot for romantic dates as it has cushy booths and rooftop views. Perfect place to snuggle up with a cocktail (or a mocktail) in hand. If you were to be tired and done for the day, the restaurant also serves attractive food and you can book a room in the beautifully designed Dean Hotel downstairs. For those who are still full of beans and ready to hit the town, walk (15 min) or bus back to the city centre. 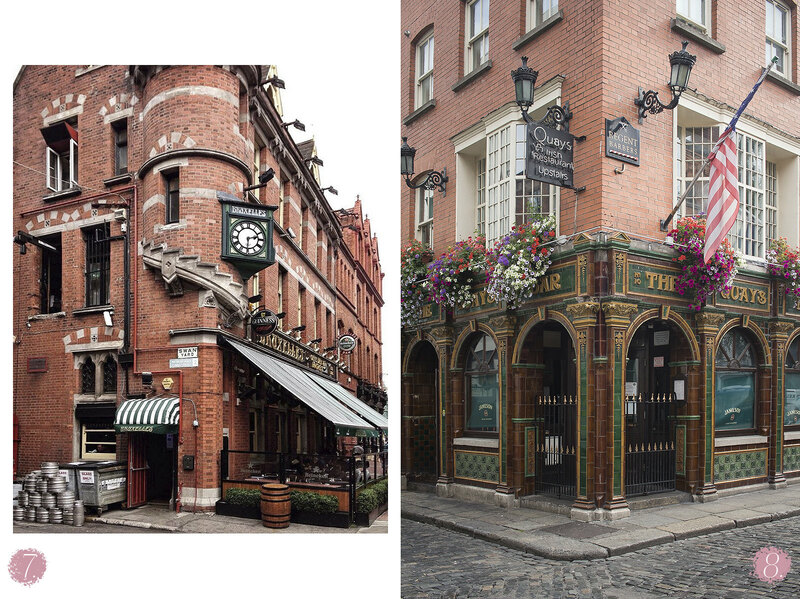 Off Dame Street, there’s a secret courtyard which you can access from the passage under Brogan’s pub. There you’ll find the Love Lane, a charming art installation designed by artist Anna Doran. Inspect it while you’re waiting for your dinner reservation. On the pink wall, tiles are inscribed with love messages, lyrics and poems such as ‘you’re a smasher, 2 eggs and a rasher‘. Once you’re done, head back out to Dame Street and right in front of you is the Dublin Castle entrance where stands a French bistro called Chez Max (pictured at the top of this post). There’s a reason why romance rhymes with France. 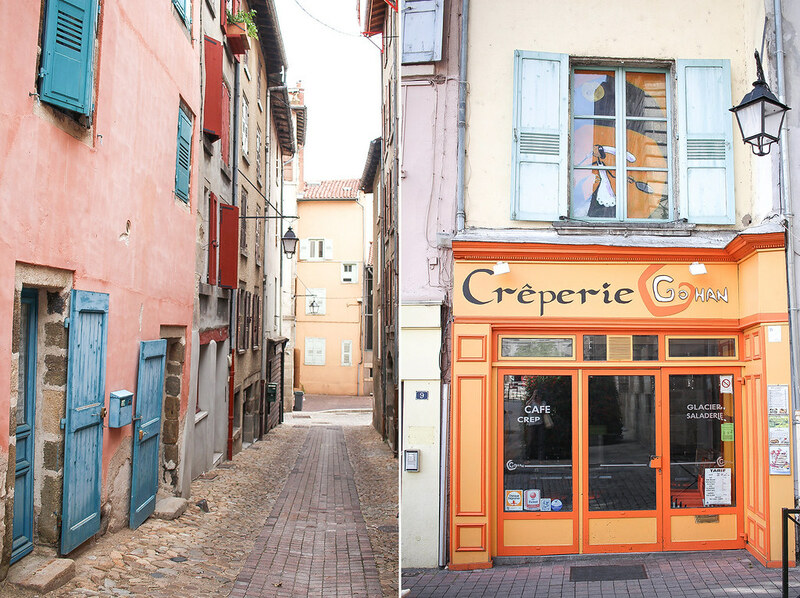 This cosy little place serves an informal French fare with no airs but a lot of charm. Finally what would be a trip to Ireland without a visit to the pub? And the perfect way to find romance in an Irish pub is to get comfy in a snug. Some period pubs still feature this private booth which historically was used for patrons who wanted to stay discrete such a policemen, priests, women and you guessed it, lovers. You’ll generally find them in Victorian pubs but check out @DublinSnugs‘s reviews on Instagram to pick one you like the look of. But what if it rains? That’s a valid concern, this is Dublin after all but do not fret, I have a relatively dry afternoon plan for you. Hop on the Vintage Tea Tours Bus at the CHQ. From the comfort of a double decker, you’ll tour the city and its attractions while enjoying afternoon tea. After the tour, head to the Stella, the most glamorous cinema in the city. You’ll love the comfort of their plush red sofas. You can order drinks and snacks from the comfort of your seats and they also have a fancy diner should you be peckish afterwards. Note that Slatterys, the pub two doors down, has a nice snug! 2018 was slow and quiet when it came to travel. For the past few years, I’ve kept my wanderlust locally. It feels like dreams of big adventures faraway are behind me. 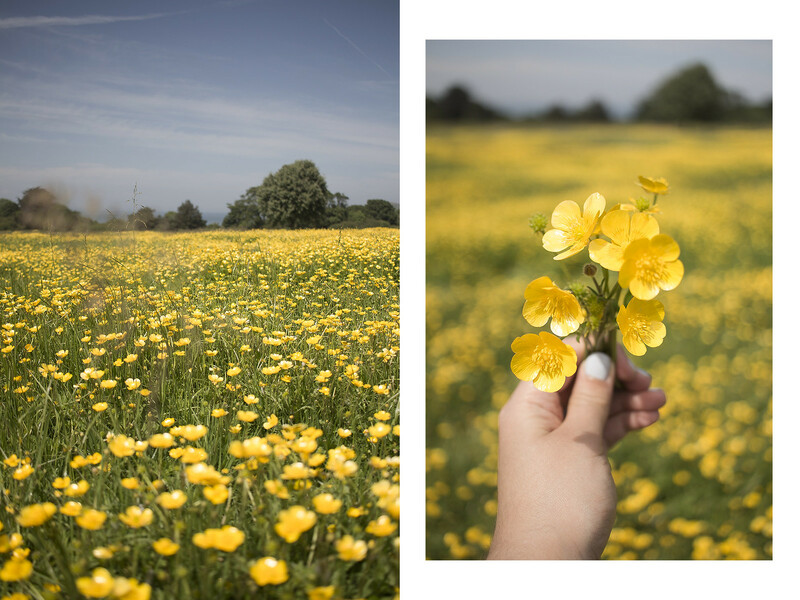 Give me a road trip around Dorset against backpacking in Vietnam any day. I don’t know if it’s my eco-consciousness weighing heavier or if it is a desire for simpler things that comes with age, but this year my travelling footprint has been kept on an even tighter leash. While 2017 brought me to new horizons, 2018’s explorations were strictly confined to the limits of my two ‘homes’, Ireland and Belgium. And I’ve zero regret about that. 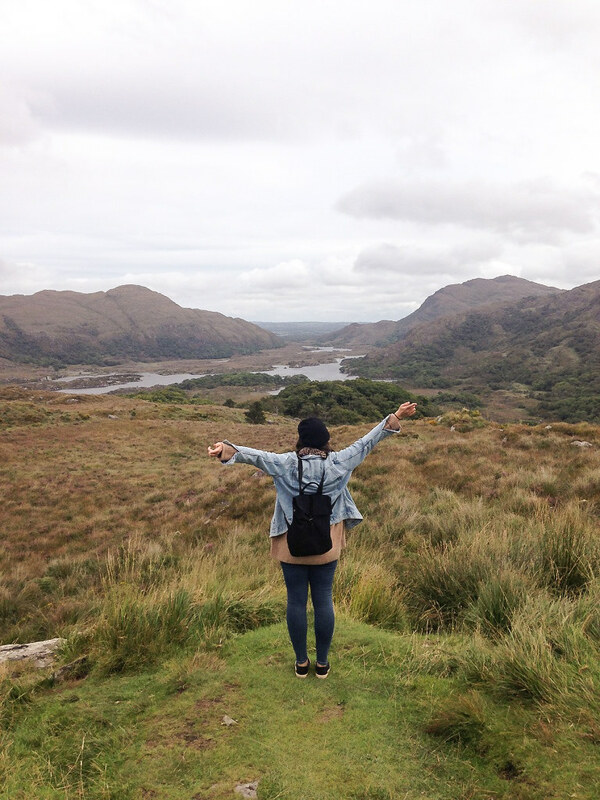 I discovered some fantastic new places (to me) in Dublin but also gave a second chance to Belfast which had previously left me indifferent and saw it with complete different eyes! Keep reading to find out my 5 favourite travel discoveries of 2018! 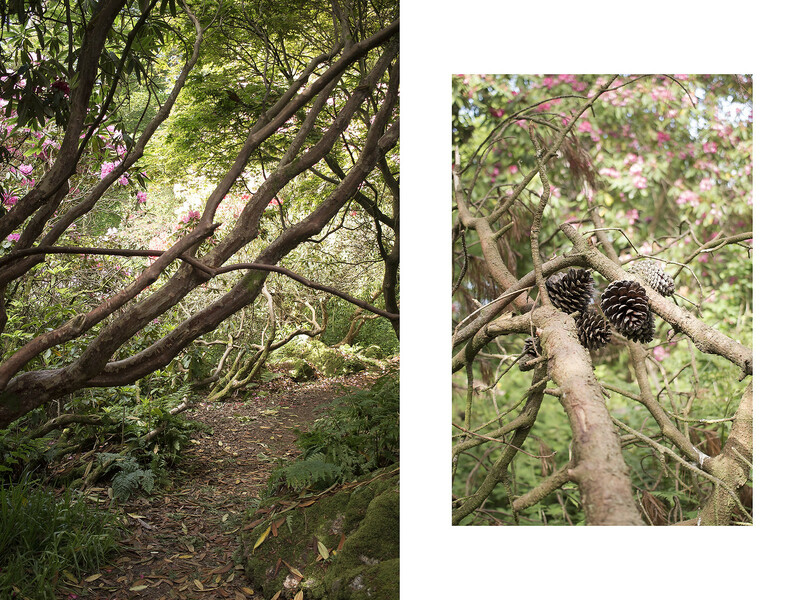 Back in June, during the rhododendron season, I went to Howth Castle for the very first time. 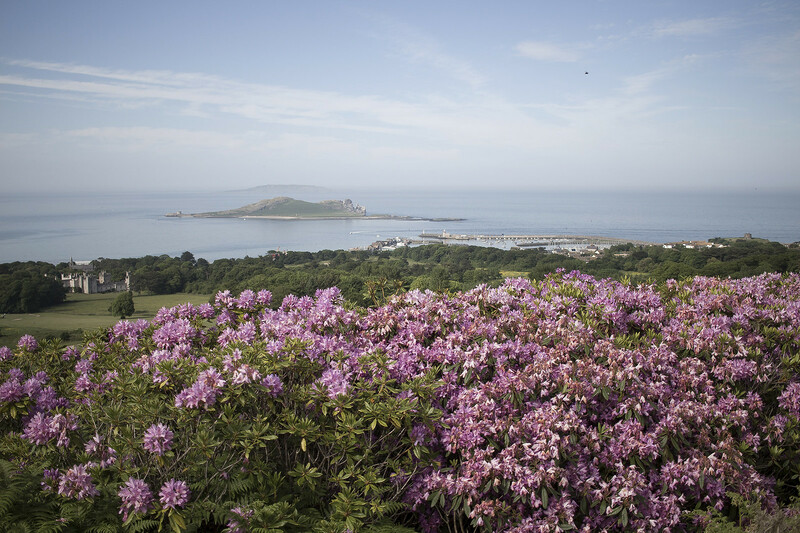 The Howth peninsula located on the coastline of Dublin has always been one of my favourite haunts. 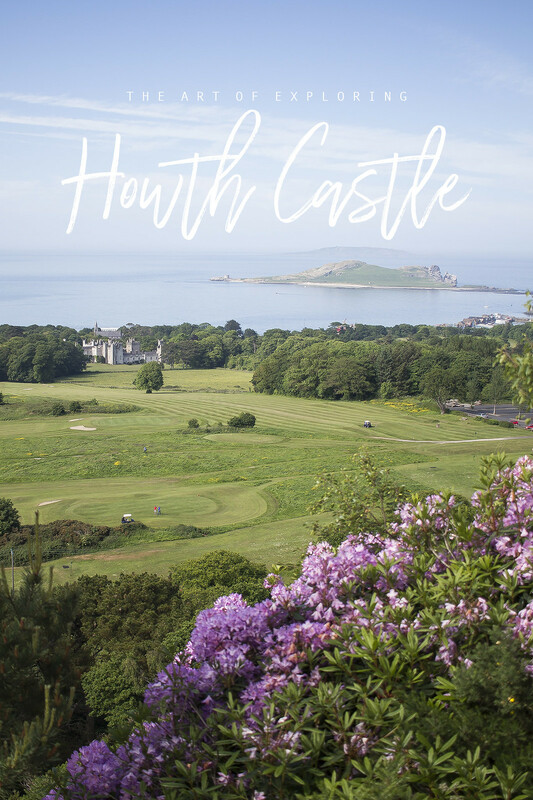 This little seaside village has charm by the bucketload but up until recently I had no idea that the rows of trees at the back of the port were hiding the splendid Howth Castle Demesne. 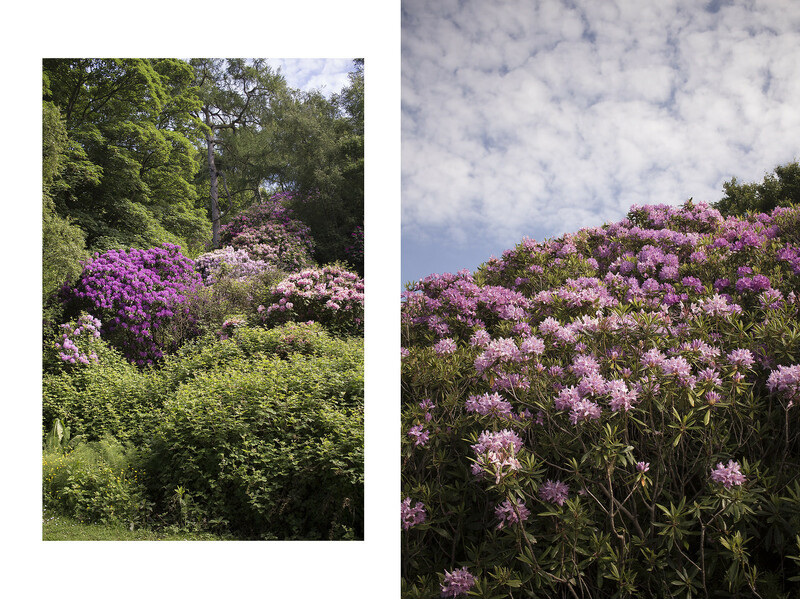 My favourite part in the estate was the ancient rhododendron garden. 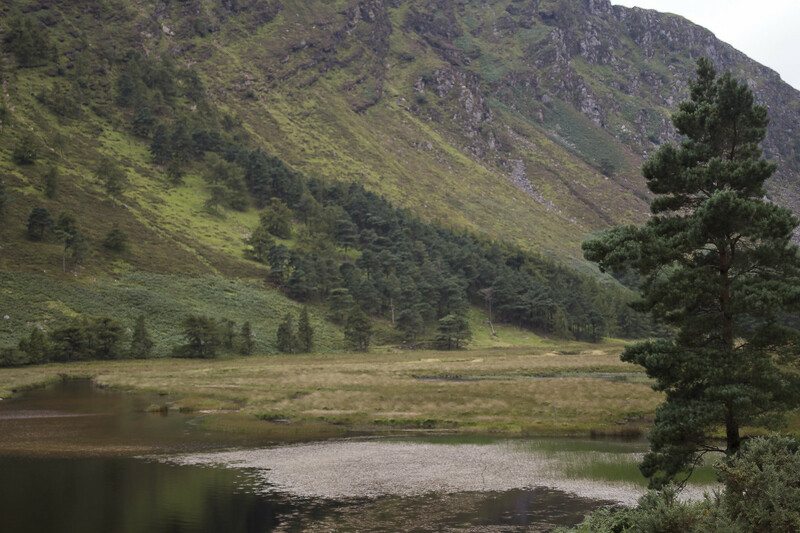 The jungle of bright bushes of flowers and their tangled roots is not something you’d expect to find in Ireland. It certainly has quite an exotic look about it. 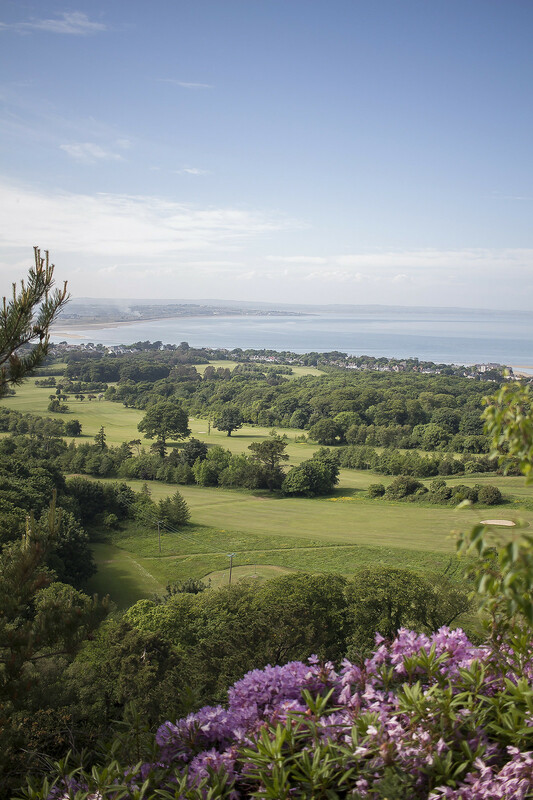 At the top of the rhododendron hill is one of the most magnificent views you’ll find in Dublin. From the Ireland’s Eye to the Poolbeg Chimneys, Dublin felt it was completely mine from up there that afternoon. 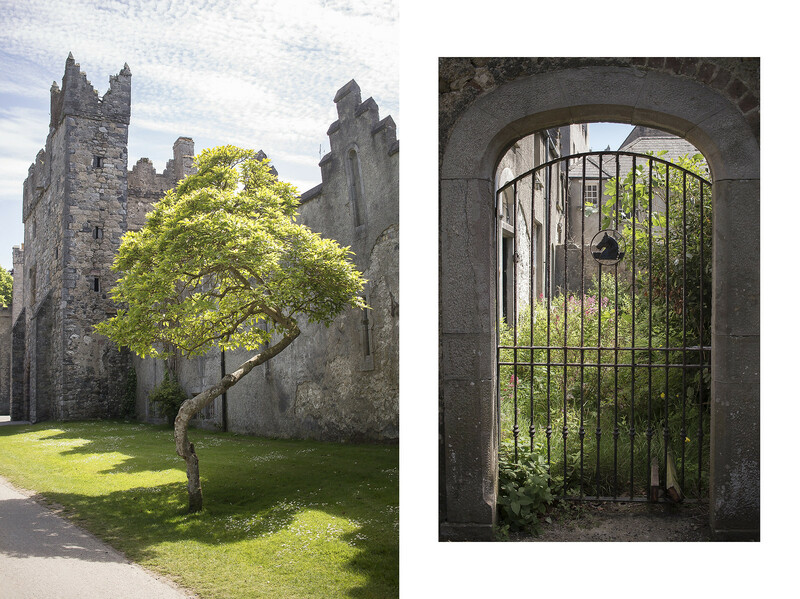 Click here to read my post on Howth Castle. In September, I didn’t want to let Summer go. Despite being the longest I’ve known since living in Ireland, it still wasn’t enough and I was feeling the Autumn anxiety settling in. Now, I think the best way to hold on to Summer a little longer is to visit a beautiful garden. 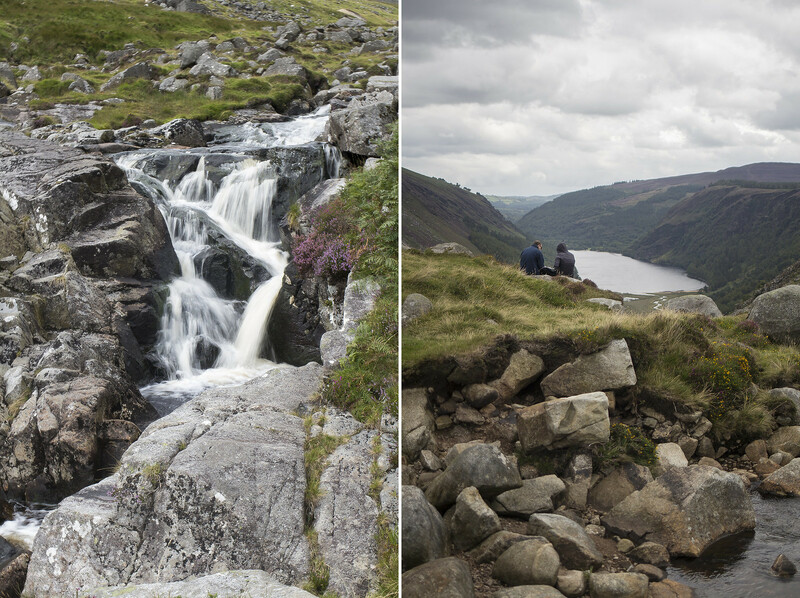 So I visited two that day, in my favourite county: Wicklow. 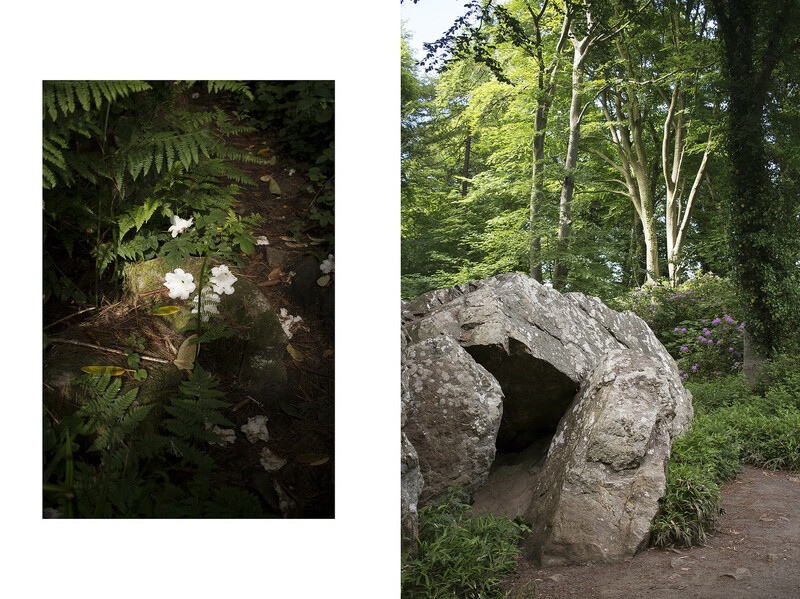 They’re located just outside Blessington and they belong to two siblings: June Blake’s Garden and Jim’s Hunting Brook Gardens. They were absolutely delightful in very different ways. I was extremely happy to catch the dahlia season and see those glorious pompoms featured heavily in both gardens. This flower is so nostalgic to me and seeing all the beautifully jewel-toned varieties June and Jim picked for their gardens made the transition to Autumn just that little smoother. Last year saw the opening of a rather exciting new museum in Dublin. 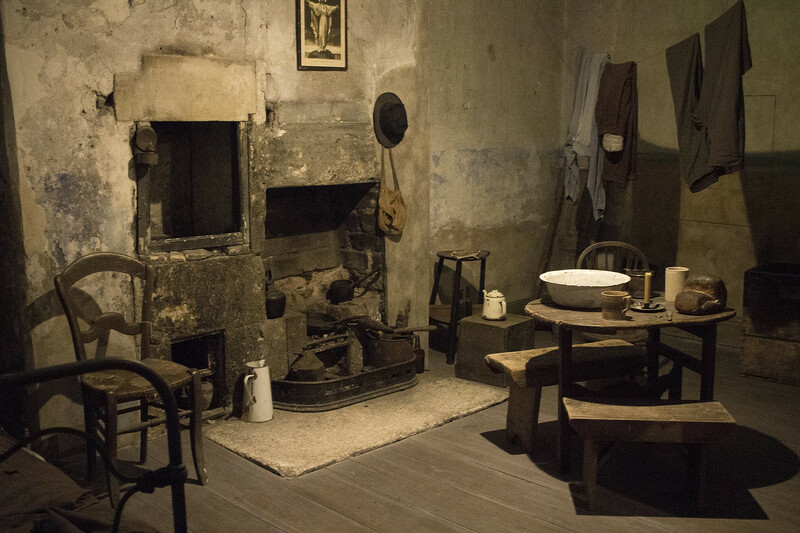 14 Henrietta Street tells the story of tenement housing in the Irish capital city. I was so eager to see it that I booked a ticket for the museum’s pre-launch tours. Henrietta Street is one of the most beautiful streets here, it features in many English and Irish films as it makes for the perfect period drama set. I was really intrigued to finally see the inside of one of these tall Georgian houses that tower over this cinematic cobbled street. 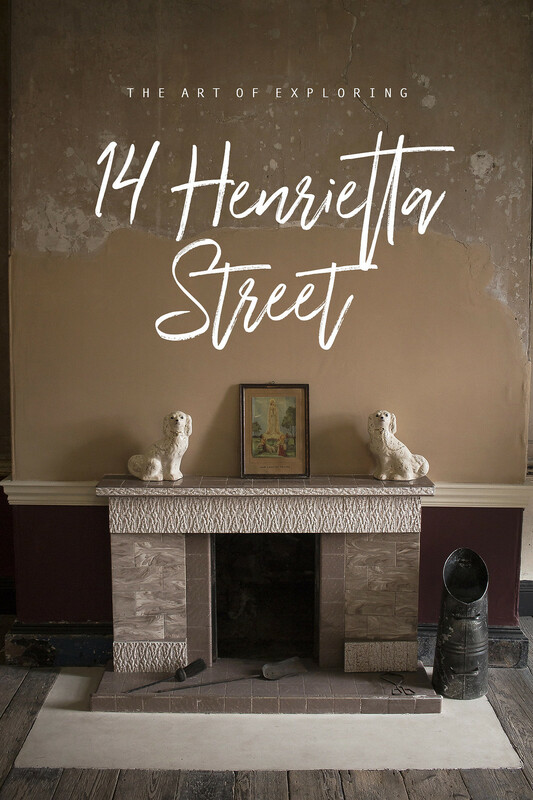 The restoration of 14 Henrietta Street is absolutely brilliant and it was edifying to learn about its many residents. The story the museum tells resonated with me as it echoes so acutely the devastating housing crisis Dublin is experiencing at the moment. Whenever I’m visiting home, I always make a point to explore something new (to me) whether it is a quarter in Brussels or a whole new city. This time, it was lovely Ghent in the Flanders region. I think it lives a bit in the shadow of Bruges, unjustly so as it really oozes pizzazz. I only spent a quick afternoon there in the Autumn and although the city is tiny, it definitely wasn’t enough time. I was truly mesmerised by the charmed life unfolding along the canals. In December, I really embraced the festive spirit and visited lots of lovely Christmas markets. I was especially looking forward to checking out the Belfast one. It is the Rolls Royce of the Irish festive calendar, after all. Unfortunately the market was a bit of a let-down for me (it was so crowded that it became impossible to really enjoy what the stalls had to offer) but I discovered that I actually really like Belfast! It came as a complete surprise as I had previously visited the Northern Irish capital and it had always left me rather cold. But with a few recommendations sent by some of my very kind instagram subscribers, I felt the city finally opening itself to me. I can’t wait to go back and explore it on a warmer day! For 2019, I hope to continue to keep my travels very locally. My heart does not long for exotic horizons at the minute. Ireland, Belgium and the UK sound just right for me. I do want to spend more time near the sea so I’d love to do some kind of road trip along the coastline in the South of England. I’m also toying with the idea of cycling the Waterford Greenway in Ireland in the Spring. Finally, as mentioned above, another trip up to Belfast will hopefully be on the cards! That’s the extent of my travel wishes for 2019 but I’m very conscious of the looming Brexit cloud and I’m really not sure how it will affect travelling to the UK from Ireland. Tell me, do you have any exciting trip(s) planned for 2019? There’s a new museum in town and it’s a good one. It is also an important one in the context of Dublin’s current homelessness crisis. 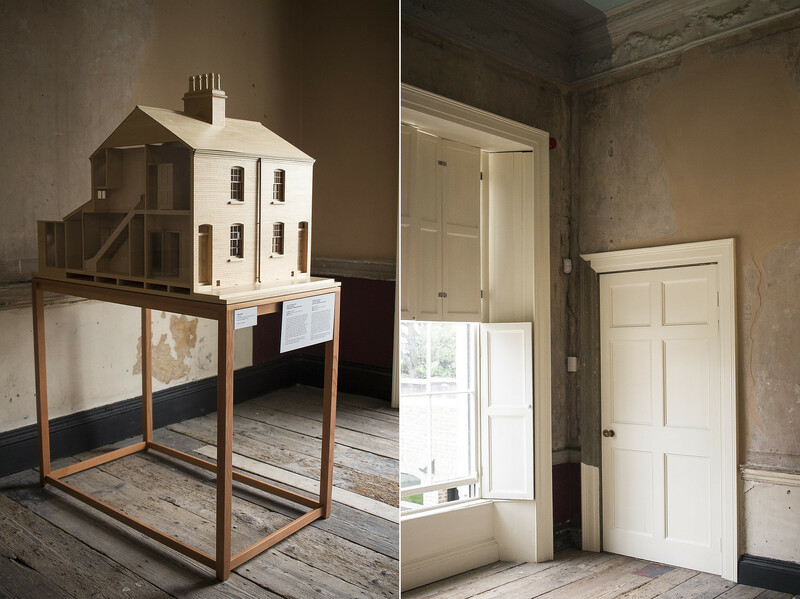 14 Henrietta Street tells the story of housing in Dublin from the 1750s to the 1970s. In the span of these 200 years, number 14 saw its residents drastically change from when it was a wealthy family’s townhouse to a tenement dwelling accommodating up to a 100 people. Now you can step in 14 Henrietta Street and listen to its walls talking. The museum is located on Henrietta Street, the first Georgian street in Dublin. It’s an atmospheric cul-de-sac which you can find in the North inner city. 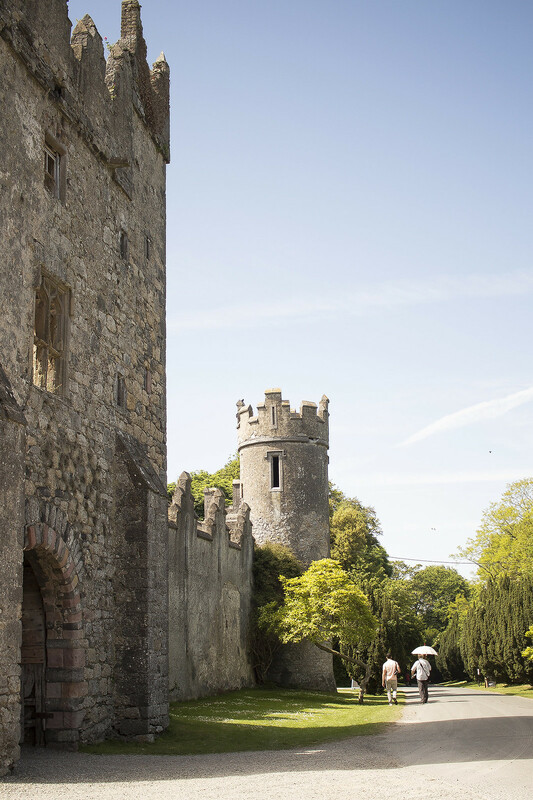 The houses are uncharacteristically tall, the road is still covered in cobblestones and at the end, you’ll find King’s Inns, the oldest school of law in Ireland. 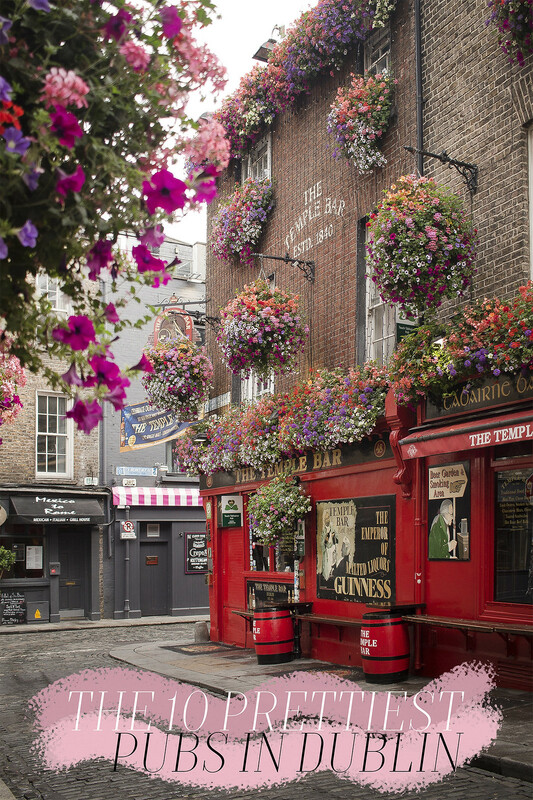 It’s one of my favourite streets in Dublin, it has a striking old-world charm and for that reason it features in many films and tv shows. The street was built by architect Luke Gardiner in the 1720s. 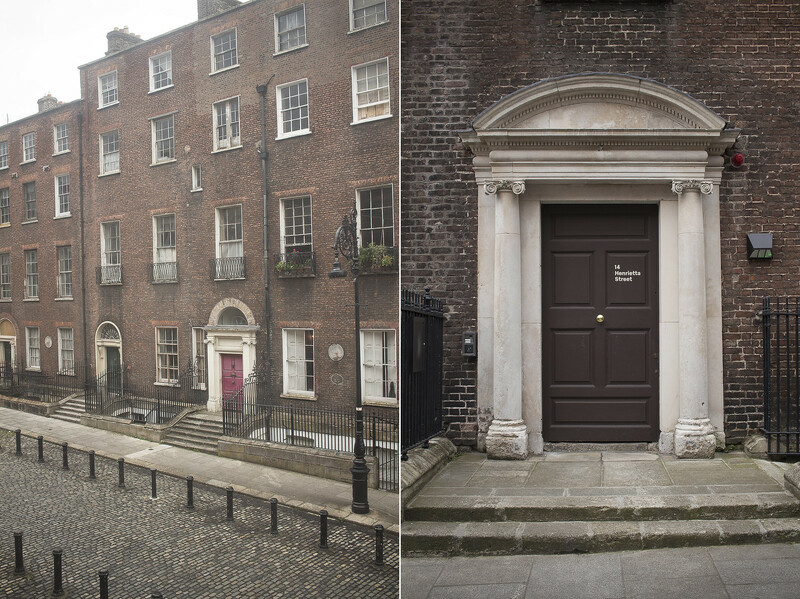 The houses here were to welcome Dublin’s high society. 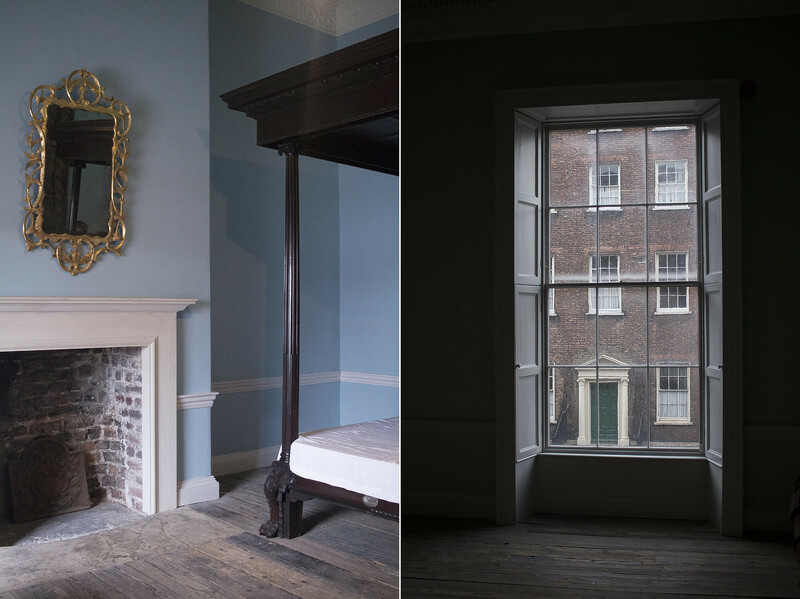 In 1748, 14 Henrietta Street was ready and Lord Viscount Molesworth moved in with his family. It’s in these Georgian times that the museum tour starts. As soon as our group opens the front door we are met with the reconstructed grand staircase. It’s easy looking at it to imagine how this family would receive and entertain their guests here. At the top of the stairs, we admire the place’s original features as well as the view on the street from the first floor’s window. It’s almost hard to believe it’s late Summer, the towering houses on the opposite side of the street cast such a cold shadow in the room. 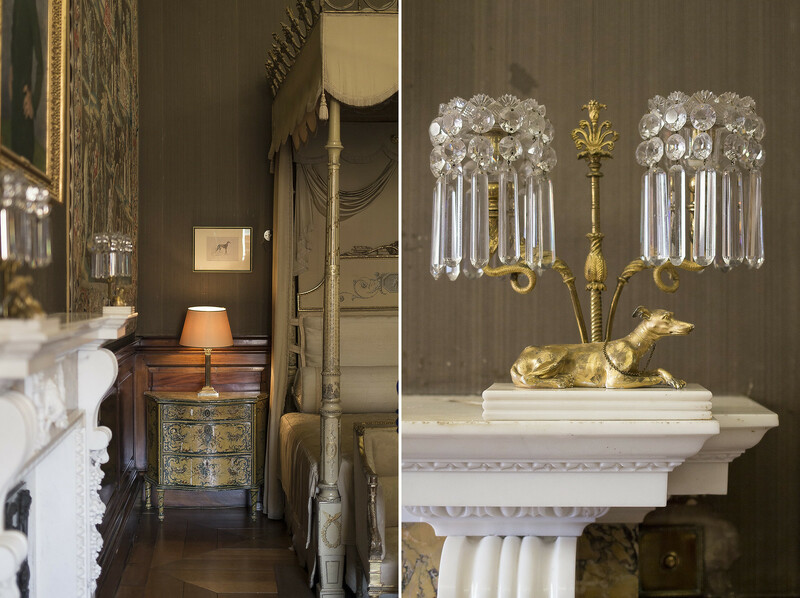 We walk in the music room which original purpose is given away by the delicate instruments carved in the ceiling’s plasterwork. As we go through the period rooms, we learn of the Molesworth’s fate. Following the 1800 Act of Union which joined Ireland to the United Kingdom, Dublin’s aristocracy left the city en masse for London. This plunged the city in a deep economic crisis. Landlords had now on their hands these big beautiful townhouses that no one could afford and they decided to cut them in flats. Thus was born the era of Dublin’s tenement housing. This radical change of pace of the house hits us in the face as we open the blue bedroom’s back door to the service stairs. Here starts the tenement part of the museum. The walls are crumbling, it’s cold, dark and dingy. Our tour guide Tracey tells us that some visitors who used to live here can still smell the disinfectant that covered the walls. It’s undetectable to me but the walls indeed still bear the bleach-laced paints of Raddle Red and Reckitt’s Blue. In 1877, Thomas Vance bought number 14 and divided it in 17 flats with only 2 toilets available. By 1911, 100 people were living in these dwellings. The poorest families were squeezed in into single rooms. You’d typically find these lower-rent rooms in the basement and this is where the tour continues after we carefully go down the rickety stairs. The room is dark but for a sliver of light coming from the street above. The furnishing is minimalistic: a metal bed, some enamel wash-bowls, a couple of chairs, clothes hanging and holes in the wall that pass as a hearth. The scene is directly inspired by the work of social photographer John Cooke. Back in 1913, he documented the state of Dublin’s slums. His pictures served as a base for the Dublin Housing Inquiry upon which actions were to be taken to improve the living conditions of the poor. Unfortunately, World War I broke out and the issue was swept under the carpet. On the walls of the basement flat, we are shown John Cooke’s photographs depicting these living conditions and it’s absolutely heart-wrenching. It’s hard to believe that once a family of 13 had slept right here. The tour continues upstairs, in a room where vintage toys and prams are gathered in a corner. As black and white pictures of children playing on Henrietta street are projected on the wall, we listen to Peter Brannigan, a former resident. He tells us what it was like growing up here in the 1940s. 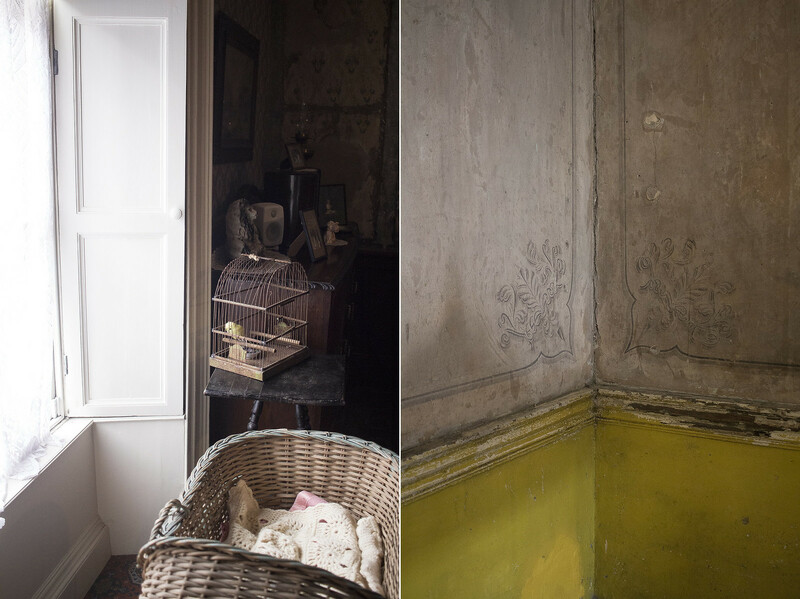 Nursery Rhymes appear on the door and some visitors start singing along, bringing in the room the ghosts of their own memories of a distant Dublin. Next door, we learn of the end of tenement living. Low-income families were moved to new flat blocks and suburban cottage houses. This process started in the 1930s and went on until the 1970s. Of course, it was a blessing for these families. It meant safer living conditions, more room and also new hobbies for the wives like gardening or cooking. But there was a price to pay, it was lonely. They felt like they lost their community they had been relying on every day. The cost of life was higher too as the suburb shops tended to be pricier. The tour ends in a colourful explosion of knick-knacks in the last room. 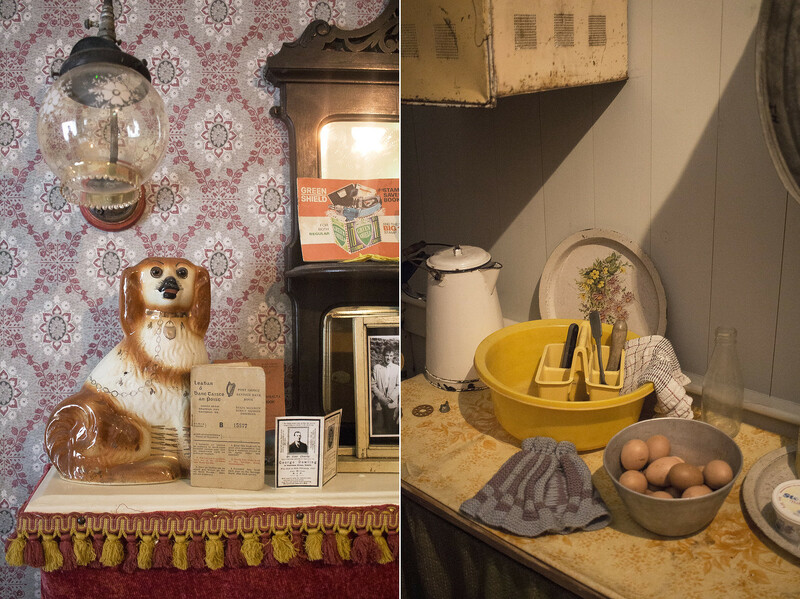 This is the recreation of Mrs Lily Dowling’s flat which would have looked like a typical tenement flat in the 1960s. 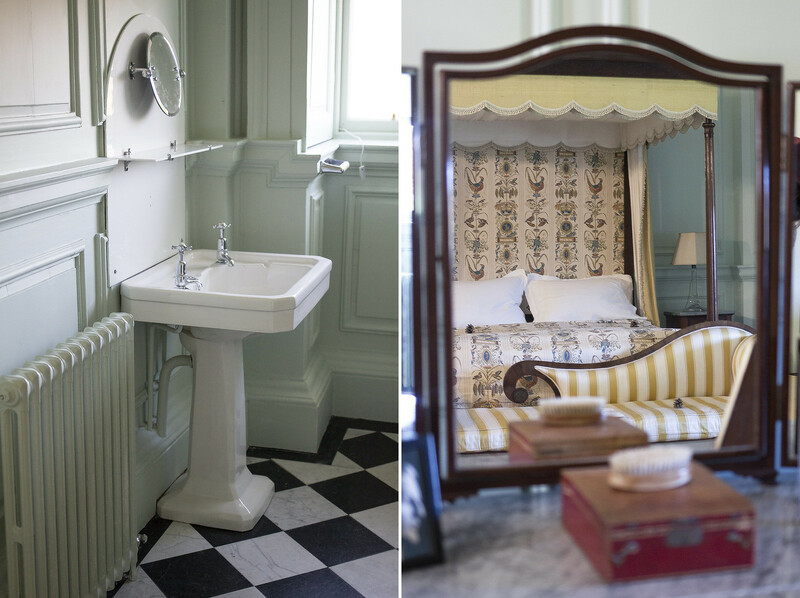 It’s a lovely surprise in contrast of the previous rooms that were looking a bit bare. The room is partitioned in three: there’s a tiny galley kitchen, a living room with a bed, a piano, there’s even a telly, and finally a small bedroom. The floor linoleum and wallpaper are striking replicas of scraps that were found during the building’s renovation. 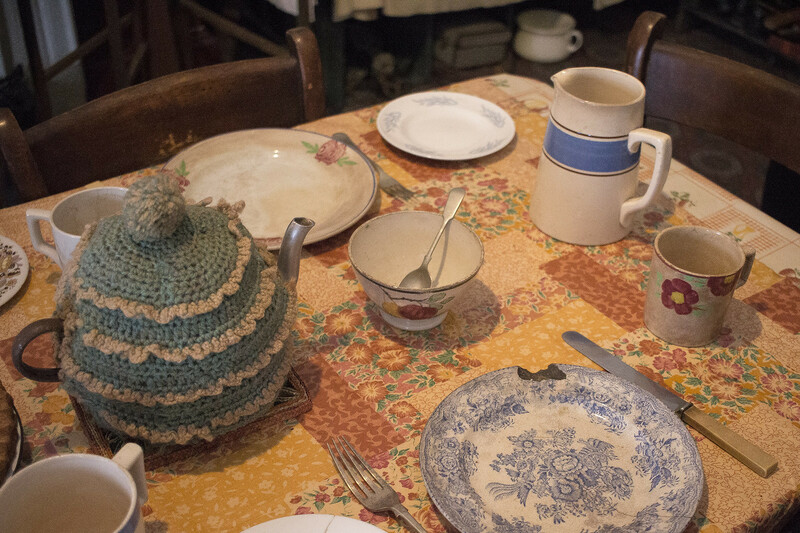 Some visitors are enchanted to see the kitchen stocked with staples from another era. Tracey passes a carbolic soap that we gather around to sniff. It has an unpleasant smell of petroleum to my non-Dubliner nose but it seems to delight the woman next to me. ‘You can still buy them on Thomas Street!’, she exclaims. Her nostalgia is contagious and I feel myself warming up to the weird pink soap smell. 14 Henrietta Street lifts the veil off an unpleasant part of Dublin’s history but don’t be put off by the idea as I think you’ll find yourself uplifted by the tour. Yes, you’ll feel anger towards landlords whose greed seem to know no limits and the feeling is certainly amplified in the current housing climate. But what stays with you is the strong community spirit the people of Dublin demonstrate by the bucket load in the presence of adversity. Booking your ticket online is advised. 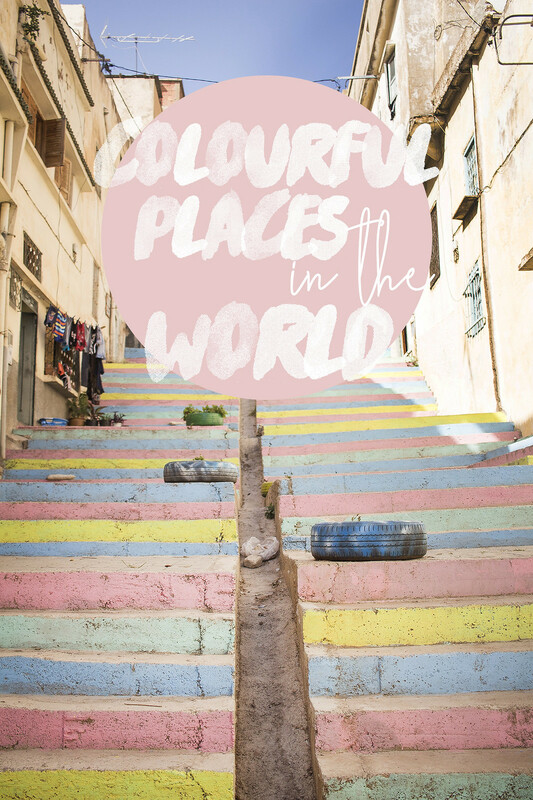 Today is World Colour Day so I thought it would be fun to look back on my travels and pick the most colourful streets, villages, towns or cities I encountered. Some of these are as bright as bright can be but some other are definitely more pastel. So here’s a top 10, in no particular order, for your peepers to hopefully brighten up this very grey start of Spring. 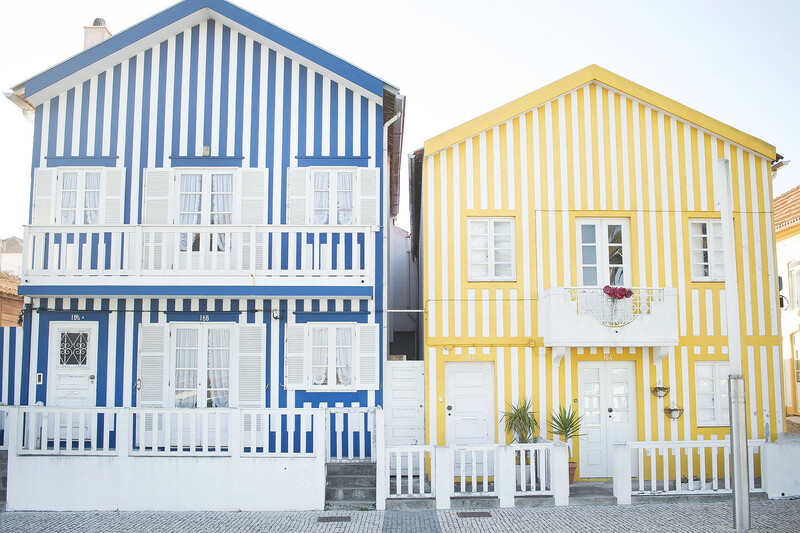 Costa Nova is one of the beach towns of Aveiro in Portugal. When I went to Porto, I made a point to make the hour and a bit journey to this cheerful little place. I was so curious to see these colourful huts with my own eyes. I’m happy to report the place looks as glorious in real life as in pictures. 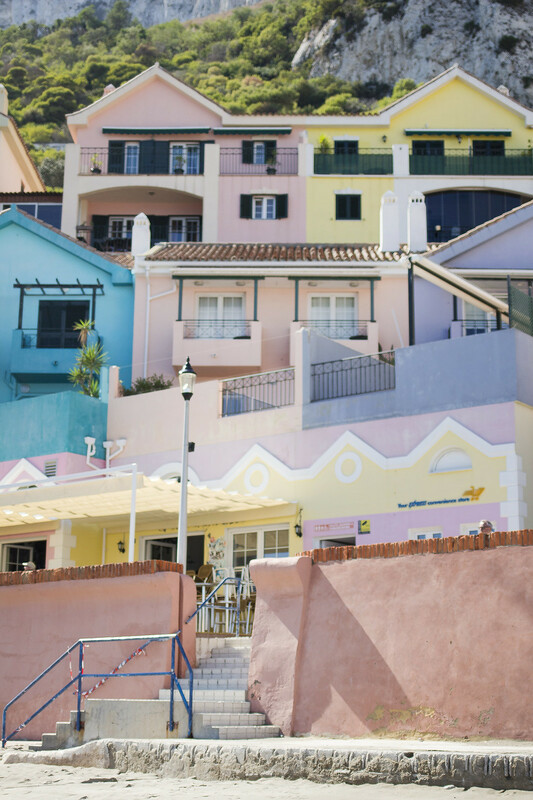 The candy-striped houses on the promenade gave me so much joy. The whole thing looked like a film set! Morocco has some colourful cities. The blue city of Chefchaouen often comes to mind. But other places have caught on with the limewashed trend. I was told that it was only recent that Azrou had started coating its walls with colourful pigments. While Azrou is not as high-profile as a Marrakesh or a Chefchaouen, I do think it should be on your list if you like colourful places. The old quarter is a delightful mishmash of mint green, marigold yellow and salmon pink. 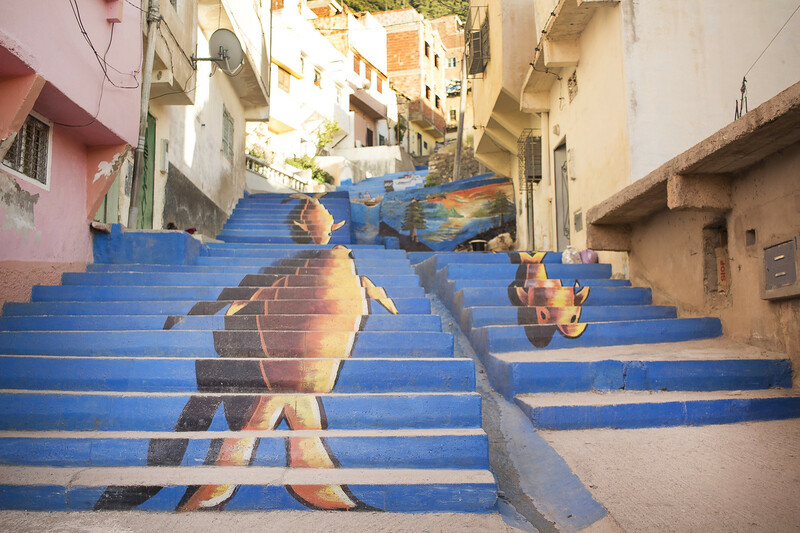 My favourite part was the beautiful street art of fish swimming upstream on those long stretch of stairs. (The rainbow stairs on the cover of this post also belong to Azrou). If there was a prize for the most colourful place in the world, let’s face it, Burano would probably win it. 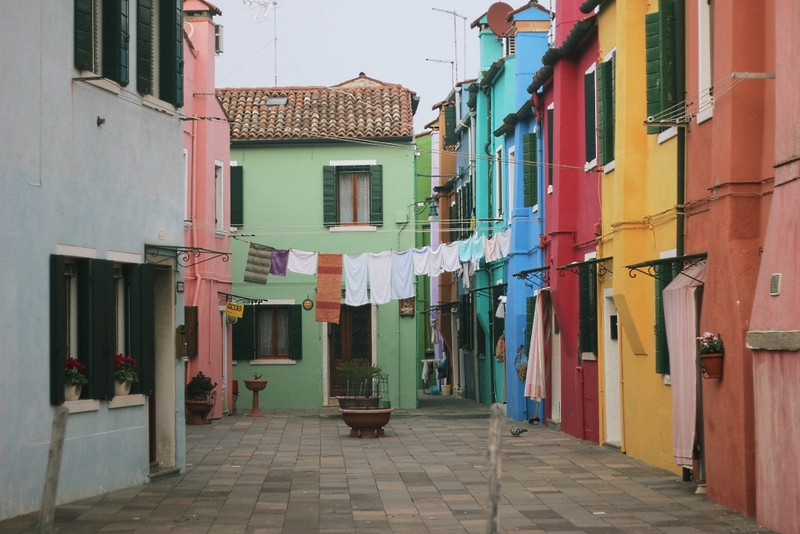 Walking in Burano is like being sandwiched between a canal and a rainbow. It’s an oddly pleasant sensation, I would recommend it 100%! When I visited Gibraltar, I certainly didn’t expect to find nice beaches. On the east side of the isthmus, you will find a couple of seaside villages. One of them is called Catalan Bay and let me tell you, it is an explosion of eighties colours. I’m pretty sure I had an outfit that looked like that as a kid. Of course, this London’s neighbourhood does not need an introduction. 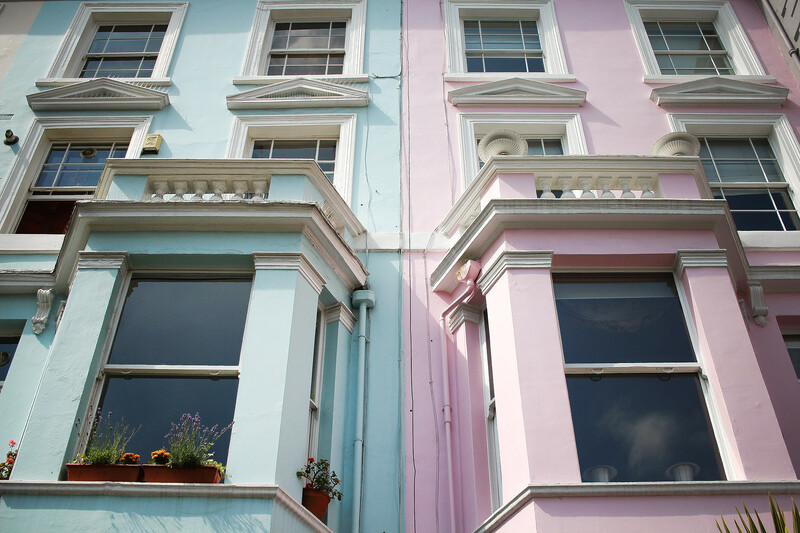 There are fewer places in the world I’d rather be than wandering Portobello’s colourful streets on market days. Le Puy is a medieval city in the French volcanic region of Auvergne. It is famous for being one of the starting points of the Camino de Santiago pilgrimage. 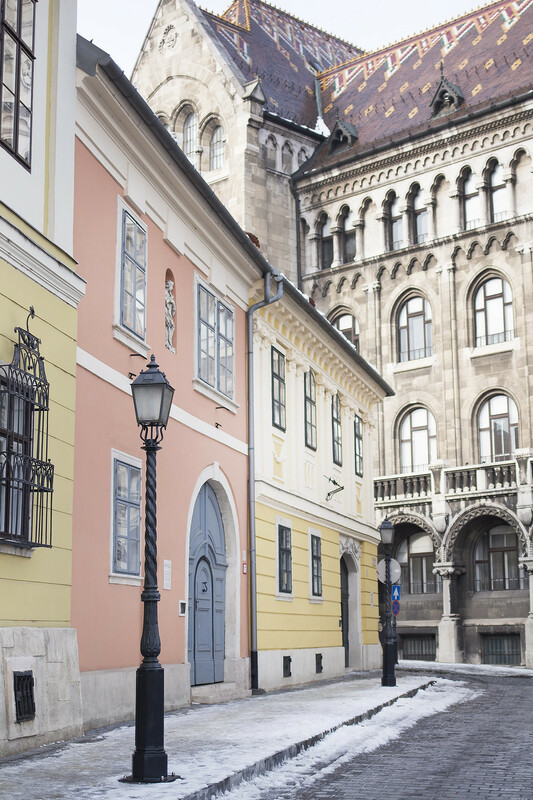 It has an old-worldly charm to it, the narrow alley-ways, the pastel-coloured blinds that adorn the windows, the steep streets that lead to the towering cathedral. Le Puy is truly an enchanting place. The castle district is one of the most touristy area of Budapest. 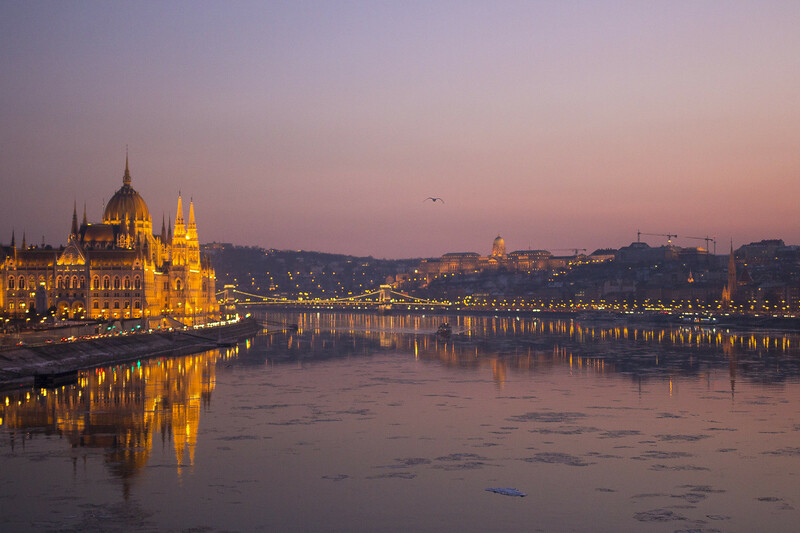 There you will find the Fisherman’s Bastion, Matthias Church and of course, the castle. 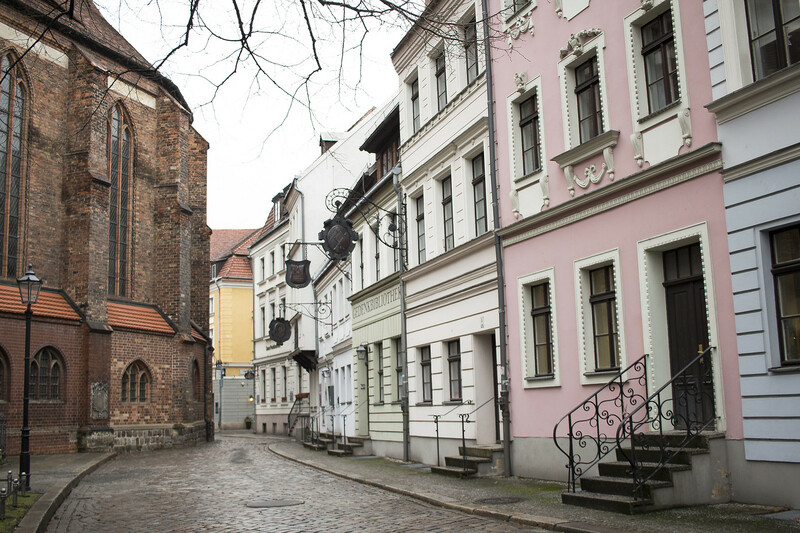 One thing you should also do is walk on the cobblestoned streets of the historical residential area. The baroque houses are so pleasing to the eye. Nikolaiviertel is the historical heart of Berlin. There, the majestic houses are pastel in colours and feature interesting rococo designs on their facades. They look like a beautiful layered cake out of Mendl’s from The Grand Budapest Hotel. Just dreamy. I know, I hear you saying ‘another Portuguese place?!’. 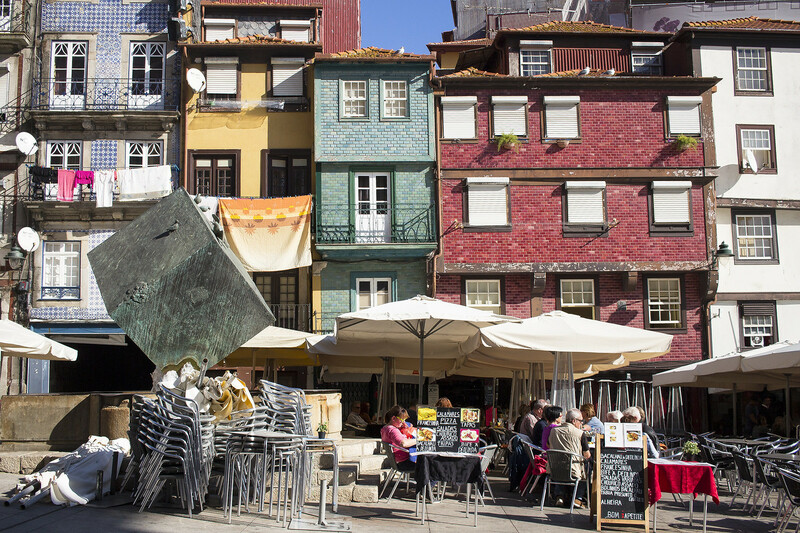 Forgive me, but I couldn’t not mention here Porto and its tetris cube houses bearing proudly the colours of a crayola box set. Now tell me, what are the most colourful places you’ve visited? Which one should I visit next? One golden afternoon in the late Autumn, I took the 65 bus to county Wicklow. I got off at the end of the line, in a town called Blessington. It wasn’t my first time here, actually. I had stayed here for a couple of days in the Avon Ri Lakeshore Resort a few years back. It is a group of self-catered townhouses on the shore of the Blessington Lakes. 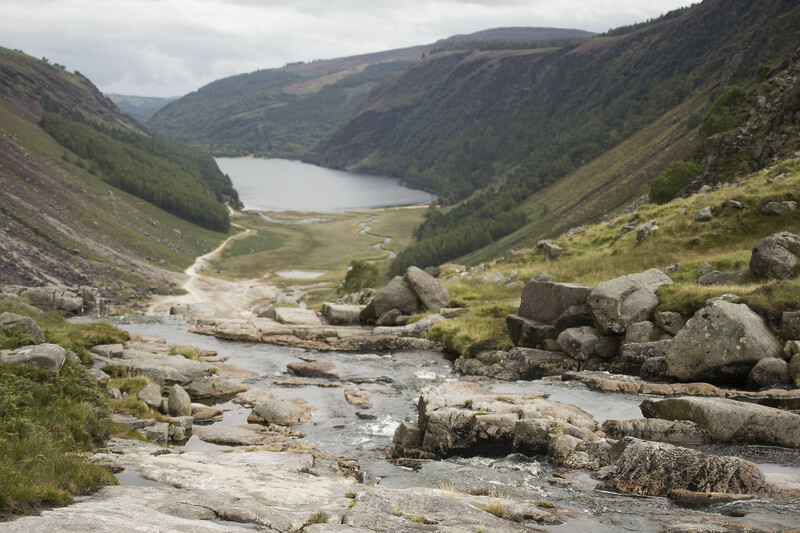 I have fond memories of the place and I would totally recommend it if you’re looking for a base to explore Wicklow or if you simply want an escape from the city. 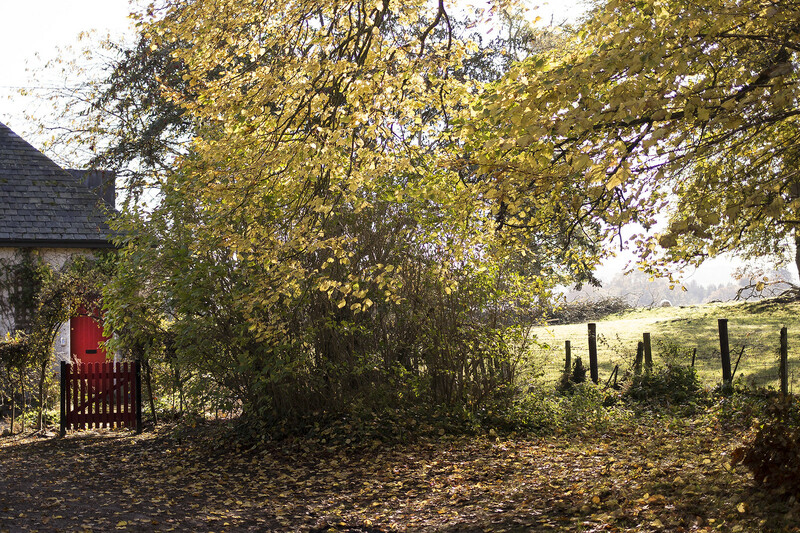 The lakes are the perfect setting for invigorating country walks. Coincidentally, the Avon Ri is also the start of the Greenway Walk, where I was headed that morning. 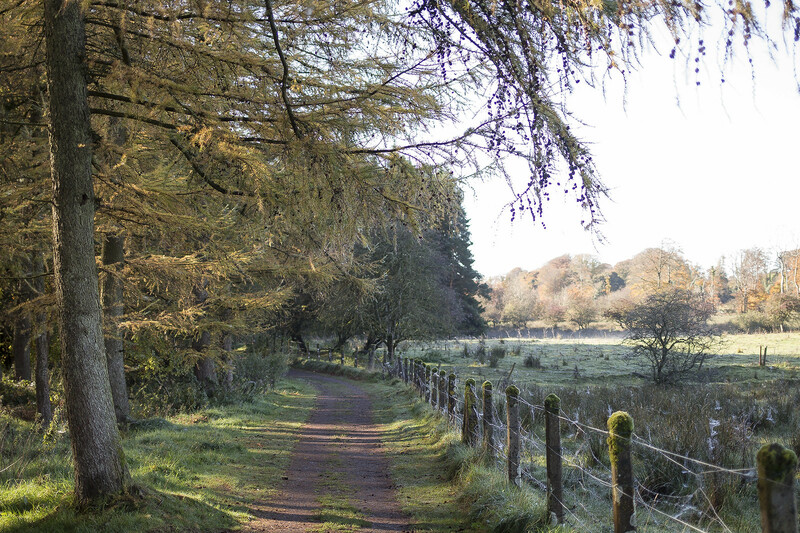 This is the trail that leads directly to Russborough House. This Irish Stately House had been on my list of places to see for a really long time. I had read that it was one of Ireland’s most beautiful houses and I was dying to see it for myself. The Blessington Greenway trail is a pleasant one hour and half walk (one way) on flat, well-maintained paths. They follow first the shores of the lakes then they go through wild woodlands. Half-way through, I felt my shrivelled urban lungs expand and fill themselves with the crisp cold Autumn air of the morning. Dry leaves were crunching under my feet and the pine trees wrapped me with their musky silence. At the end of the trail, a stoned arch marks the entrance to the Russborough demesne. 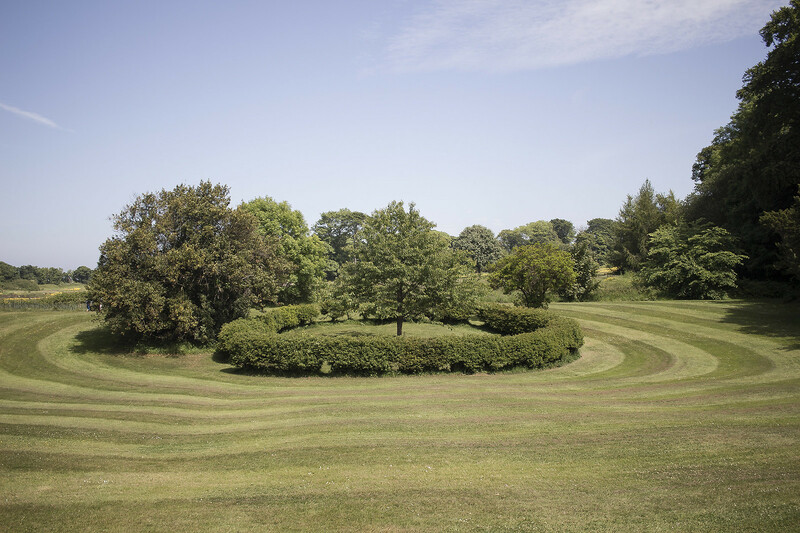 It opens to a long avenue bordered with trees which leads directly to the 18th century house. 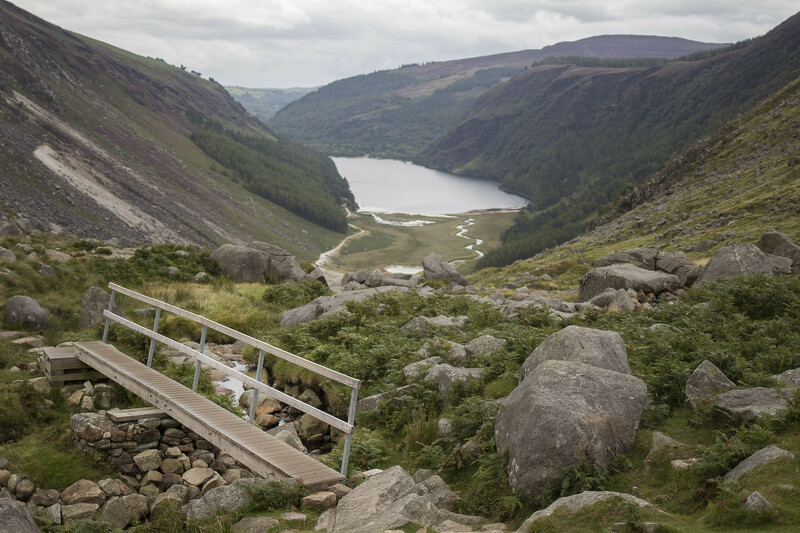 Its 210 metre-long facade (the longest frontage in Ireland) embraces a phenomenal view of valleys, mountains, lakes and, of course, sheep. I sat down on a bench to take it all in (and to recover from the previous long walk). Revived by my surroundings, I then headed to the ticket office and booked a tour inside the house. The tour was to start in an hour which left me a bit of time to explore the house’s grounds. 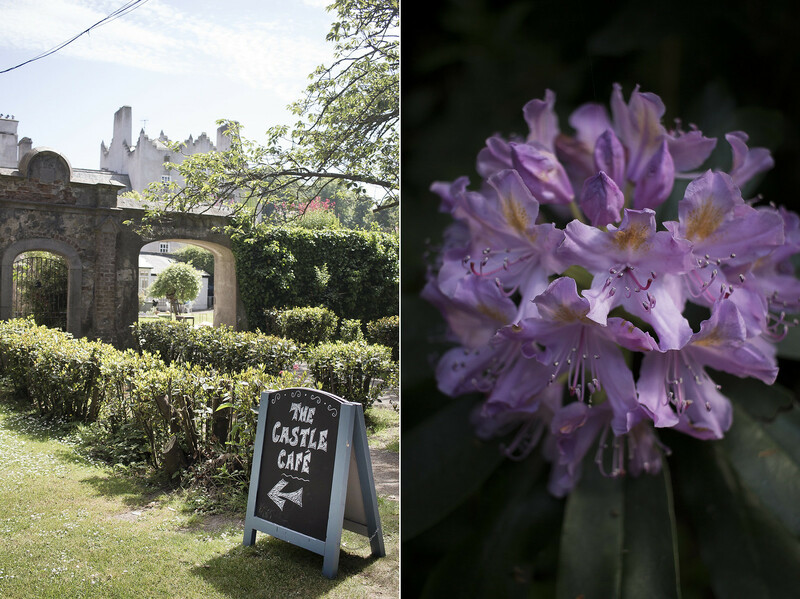 The courtyard is home to many artisan and craft stalls: a blacksmith, a candle-maker, a woodturner and a ceramicist. 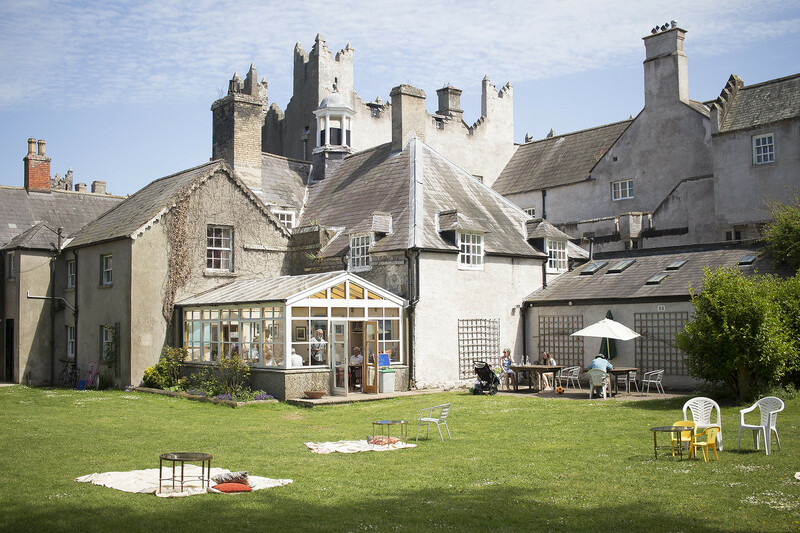 There, you will find also Ireland’s Bird of Prey Centre and if you’re lucky you might catch a show of falconry. It was a bit late in the year so I wasn’t. I didn’t feel too lucky either when I found out that the walled gardens were closed that day. Nonetheless, I continued my exploration, walked by the maze and stumbled upon one of the previous owners’ grave, the 4th Earl of Milltown and the Countess. I also found a fairy trail and admired Lady’s Island where a little red Japanese bridge spans over a delightful brook. But time was a-ticking and I headed back to the gift shop where the tour was to start. A friendly lady with a mellifluous germanic accent took our small group in the first room of the house. The dining room. There, the long mahogany table had been laid out with silver candle holders, gilded porcelain plates and tiny crystal glasses for the sherry. 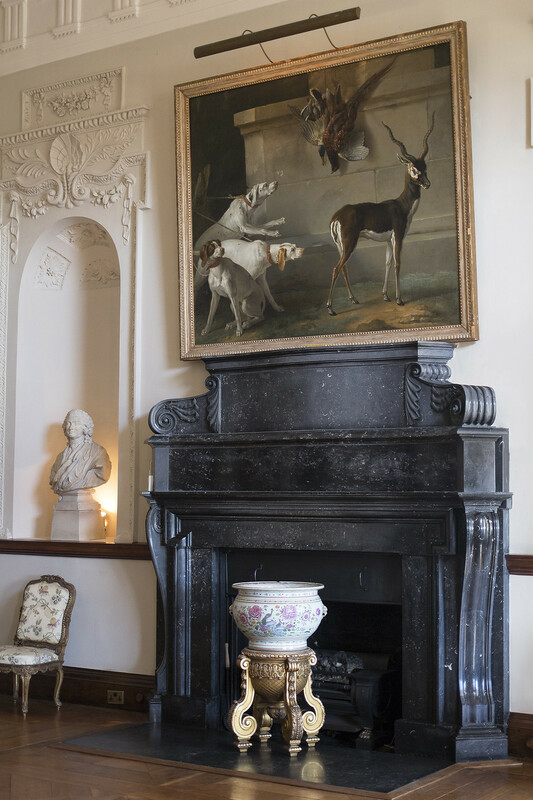 Our tour guide set the scene and depicted the lives of those who once called Russborough home. It all started with Jospeh Leeson, 1st Earl of Milltown who asked Richard Cassels to design and build the house in 1741. 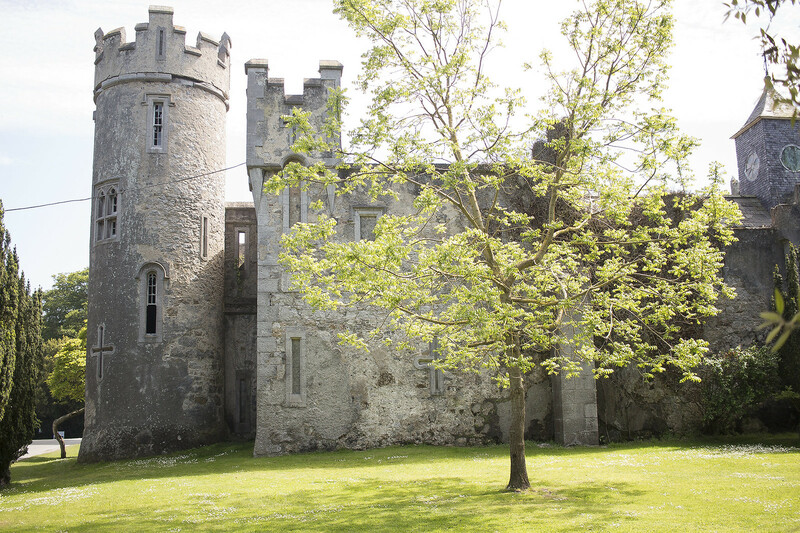 Richard Cassels was one of the most prolific architects in Ireland of the time. 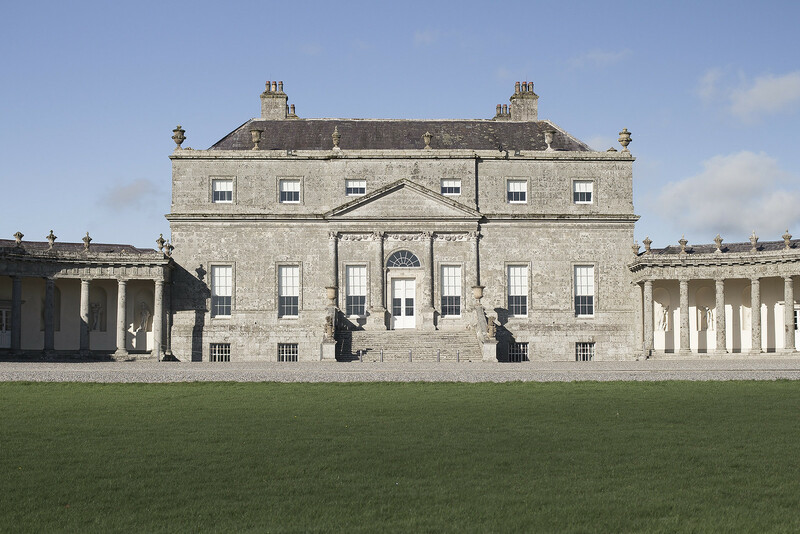 He was a master of the Palladian style of which Russborough is a fine example. The estate stayed in the Leeson family until 1914. It passed in the hands of a couple more owners then was finally acquired by Lord and Lady Beit. They were looking for a place to house their vast art collection. The couple resided here until their final days (Lord Alfred Beit: 1994, Lady Beit: 2005) but they opened part of the house to the public, in the late seventies. The life of the Beits at Russborough was eventful, to say the least. They’ve gone through: 4 robberies (one of them was even labelled ‘the biggest art robbery in history’ at the time), 1 forced occupation by the old IRA, 1 fire and 1 ghost. But not everything was gloom and doom, the couple actually had mostly a happy life here. They were renowned socialites and received many illustrious guests. Mick Jagger, Marianne Faithful, Jackie Kennedy, Fred Astaire and Coco Chanel to name a few. Having noticed some books on the Mitford Sisters in the gift shop (I used to be obsessed with them! 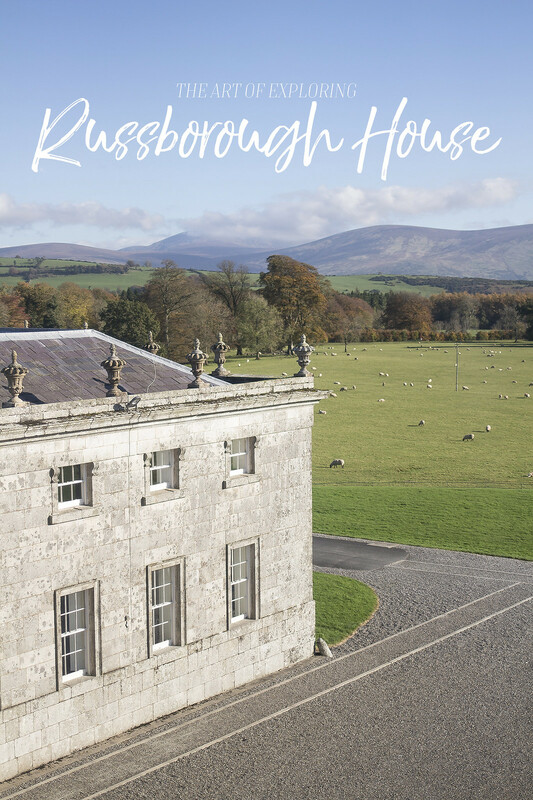 ), I asked the tour lady if there was any connections with Russborough, could they have been guests here too? To my absolute delight, she informed me that the sisters were actually cousins of Lady Clementine Beit! While learning about the life of the Beits, we had moved from one room to another. 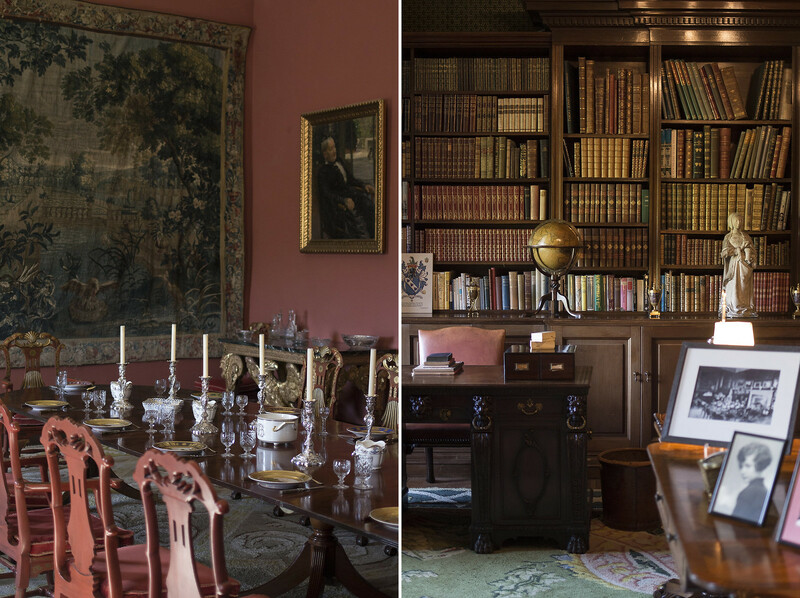 We passed the boudoir, the entrance hall, the reception room and my favourite, the library. As it happens, the favourite of the lady of the house too! 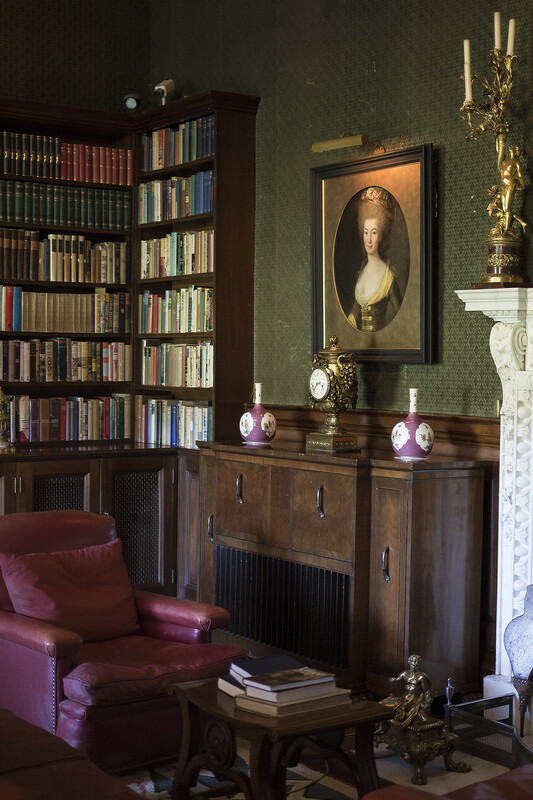 Lady Clementine was a “mad bibliophile and adored being surrounded by books“. I couldn’t have thought of a better place for that as the walls were covered in books and the sofa near the chimney looked ever so inviting. One thing that really impressed me throughout the whole visit was the ceiling and the wall plasterwork. 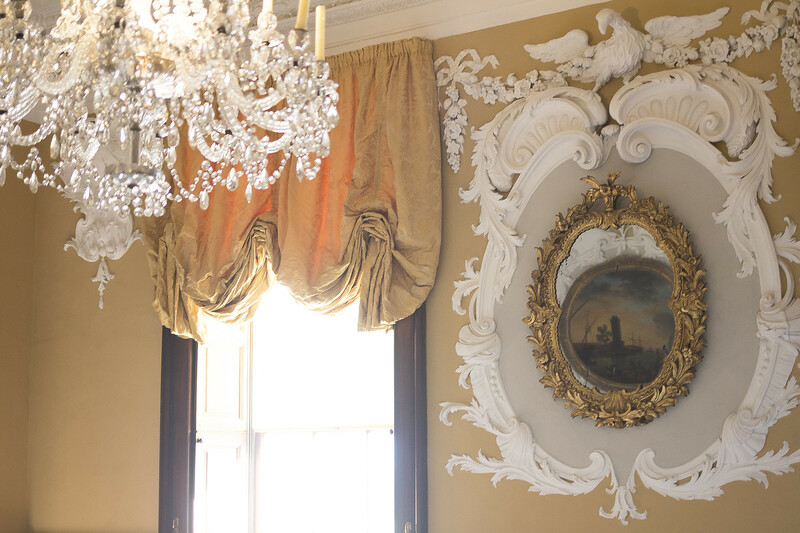 The flamboyantly rococo stucco work was a speciality of the Lafranchini Brothers and if you see some in a Palladian house in Ireland, chances are they worked on them. We climbed the equally ornate staircase to access the second floor. 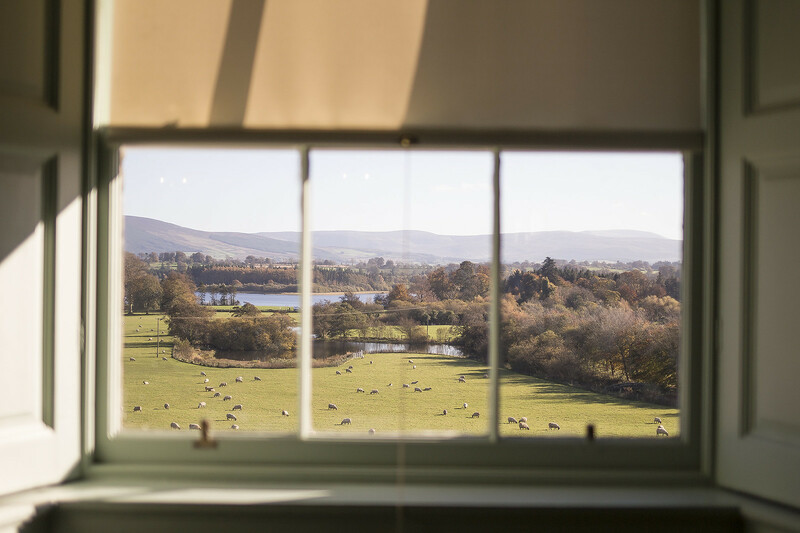 There the rooms are more plain, the showstopper here is undoubtedly the mesmerising view from the bedroom. My eyes got lost on the horizon and I couldn’t help thinking about the person waking up to this, every morning. They must have felt the luckiest human in the world! The trail starts at the Avon Ri Lakeshore Resort and ends at Russborough House. Distance one way is 6.5 km which takes about 1.5 hour to complete. The trail’s grade is easy. It’s been a while and I’ve been missing writing here. 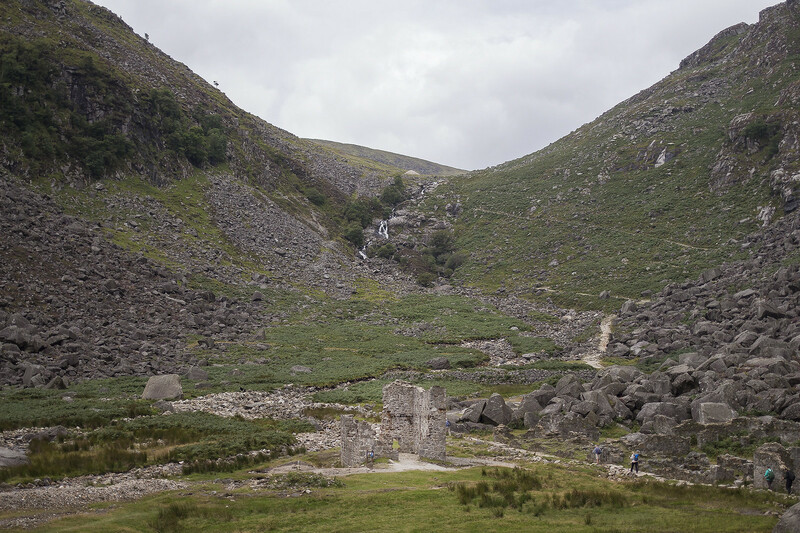 I’ve plenty to tell you about, so many places in Ireland and elsewhere, I want to share with you. But first, if you don’ mind, I thought we could look back on last year. I’ve made some great travel memories and discoveries at home and on the European continent. I really want to document them here. Without further ado, let’s jump in my 6 favourite travel moments of 2017! It was a cold January evening in Budapest and I was crossing one of the city’s many bridges to get to the Buda side. I was hoping to get night pictures of the Hungarian Parliament there. I was working against the clock and rapidly losing light so I stepped up my pace, blinded by the cars’ headlights coming my way. It was rush hour, the city people were eager to get home. Underneath my feet, the Danube was flowing steadily, taking in its stride numerous ice patches. A frozen Danube, an extraordinary sight to behold I was told. Despite, the traffic noise, I could hear voices coming from under the bridge, I looked over the handrail and to my utter amazement, two locals were having a casual conversation, standing on a giant ice sheet in the middle of the river. Uh?! I waited a few seconds to see if anyone needed help but they carried on talking like they always meant to be there. I looked up and as the sun just hid behind the horizon, it set the sky ablaze with a thousand pink shades. Despite the biting cold, I removed my gloves and placed them in my faux-fur coat, retrieved my camera from my bag. For each step I took, I snapped a picture of this view for the sky was quickly changing and the parliament buildings were glowing brighter and brighter. Buda felt like a distant memory, I didn’t care about getting to the other side of the bridge anymore nor about losing any sensation in my fingertips. What mattered was there and then, and that magical pink sky. 2017 was the year I finally ticked off the big Dublin touristy events. It only took me 9 years, go me. I saw the St Patrick’s Parade in the capital for the first time and in June, I celebrated Bloomsday. 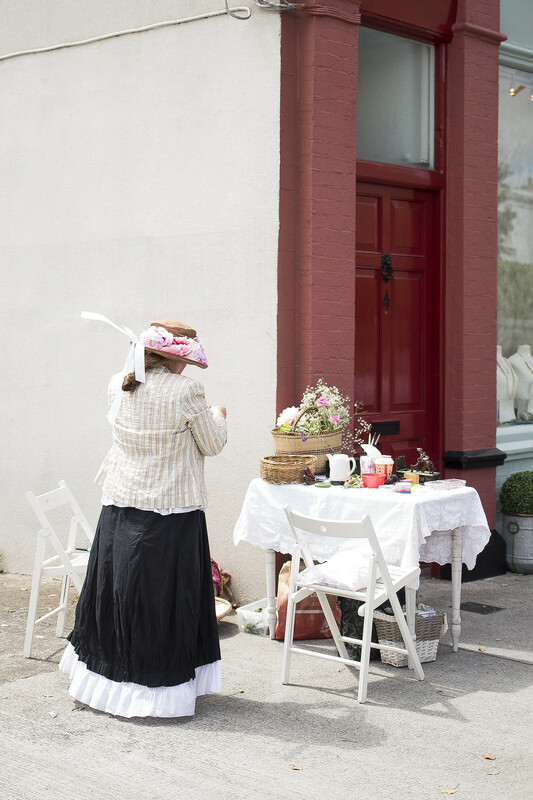 Bloomsday, for those of you who never heard it, happens every 16th of June, it’s a day where Dubliners relive the events of the day depicted in James Joyce’s Ulysses. It’s a brilliant way to experience the book, even if you’ve never read it, and also get to the very essence of the city. On that day I took the Dart to the seaside town of Sandycove and Glasthule. This is where the opening of Ulysses takes place, in the Martello Tower. You could argue that taking a train to a Dublin’s seaside neighbourhood could hardly qualify as a travel memory but to me, discovering that a local gem can create wonder in your heart at home is worth a million memories made on the road. Sandycove is pretty much a postcard village but on Bloomsday, it turns into something quite electrifying. Chairs and tables are laid on the main street, set up for the annual lunch. People of all trade and ages are dressed in early 20th century garbs. Horses dragging carts, are clippety-clopping on the macadam. Ladies are adorned with wide-brimmed hats and Edwardian dresses, men wear tiny round glasses and elegant boaters. It’s astonishing how many true James Joyce doppelgängers roam the streets on that day! My own boater in hand, I ascended the path to the Martello tower, surrounded by a group of women in billowy white dresses. Midway, I stopped at the Forty Foot creek to admire the brave swimmers. Despite being the month of June, it’s nowhere near swimming weather in Ireland. Once inside the Martello, we all squeezed ourselves at the windy top of the tower, listening to Ulysses read by actors and looking out to ‘the sea, the snotgreen sea, the scrotumtightening sea‘. As soon as I walked under the baroque gilded gate and laid my eyes on the rose garden, I knew I was in for something special. It was a humid Summer afternoon and my Dad and I were road-tripping across Luxembourg. On our way to the capital city, we stopped at the New Castle of Ansembourg to stretch our legs. Luxembourg is very much known for its castles and I could not pass up seeing one of them. This 17th century beauty does not allow visitors inside unfortunately but the gardens are free to roam. 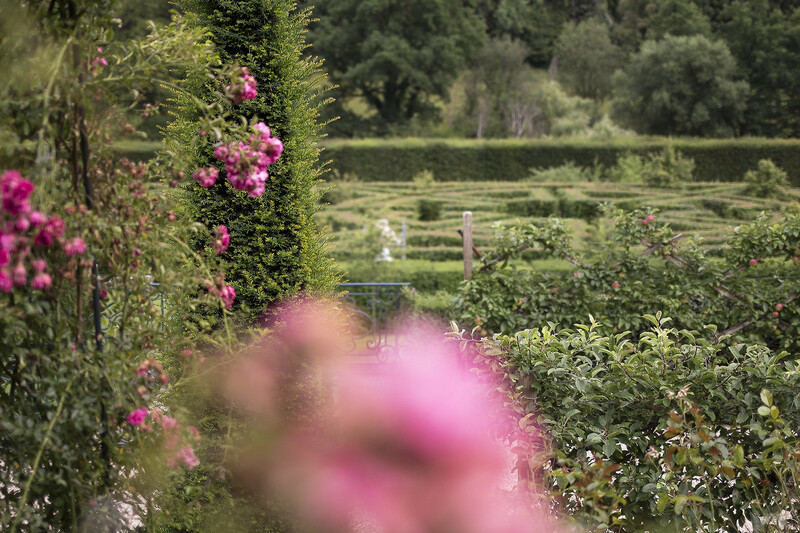 So many features enchanted us that afternoon: the mysterious hedge tunnel at the back of the land, the golden eagle fountain, the maze, the elegant white-marbled statues standing tall on the garden’s avenue, a bicentenary tree (the tallest in Luxembourg!) and of course, the fragrant rose garden. 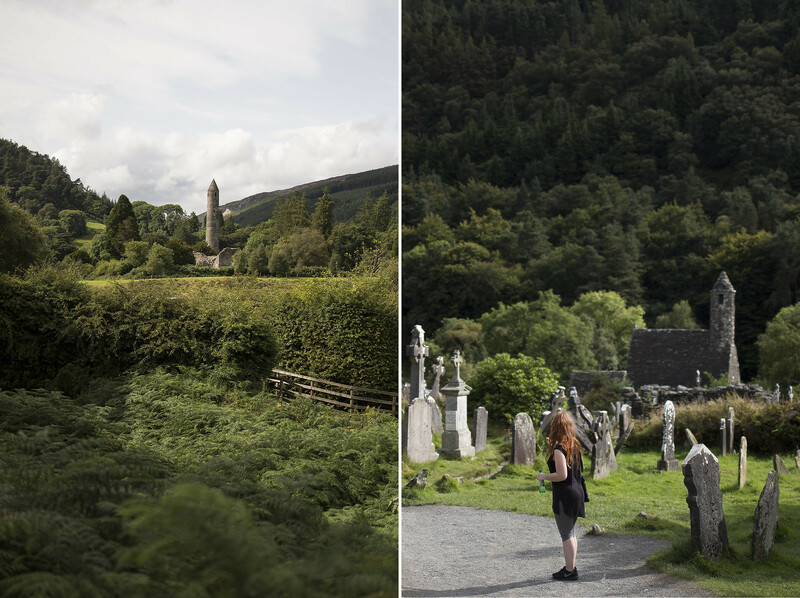 Another ‘big Irish thing’ I ticked off last year was Glendalough. 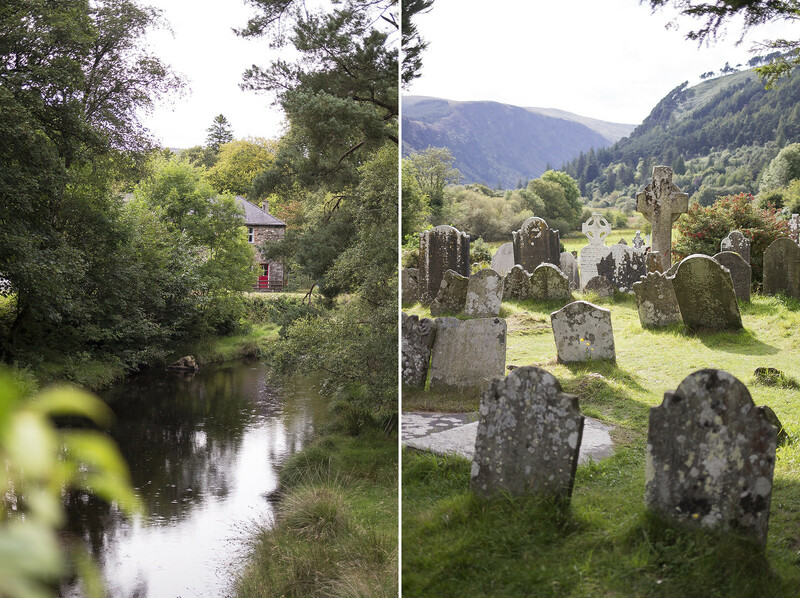 Despite being one of the most visited Irish sites, this valley in county Wicklow was terra incognita for me. The reason was the sole bus service only does one return trip a day there and I thought it would frame the exploring to a tight schedule. So last Summer, I decided to rent an Airbnb for a few days in the area. Perfect plan, right? 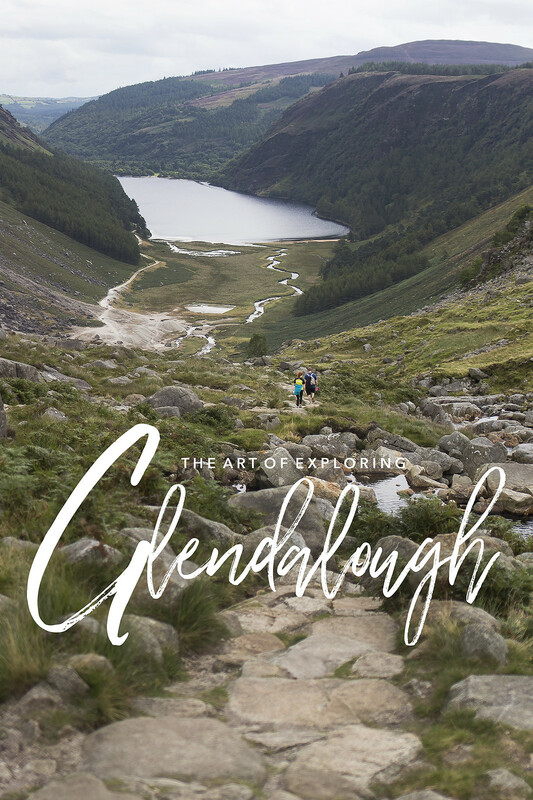 Yes perfect plan if it wasn’t for the fact that it was kind of a hike already to get to the starting point of Glendalough’s several hiking trails. I completely believed in my capacity to go from couch to 20km a day. Eh, no. Needless to say that Day 2 was a rest, I-can’t-move-from-the-bed, day. But the following day I was thankfully back on my feet. Even though it took me a few attempts, I finally ascended the climb that starts at the mining village on my last day. This glorious view over the lake (and the fragile sense of achievement for little couch potato me) was of course worth any stiff legs and wobbly knees. I want to do it all over again already! 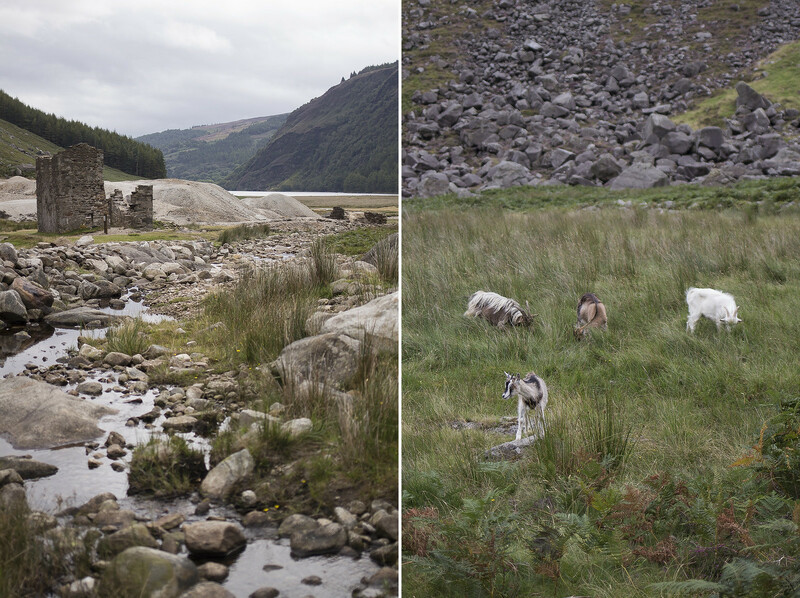 Back in September, a friend came to visit from Belgium and we embarked on an epic road-trip across county Kerry. This was truly the nicest surprise! One of the many, MANY, highlights of this trip was to finally see, with my own two eyes, the view that had adorned the walls of my childhood bedroom. Ladies View in Killarney National Park. I had blue-tacked a postcard of this majestic landscape at the foot of my bed and every time I looked at it, it would lift my heart. 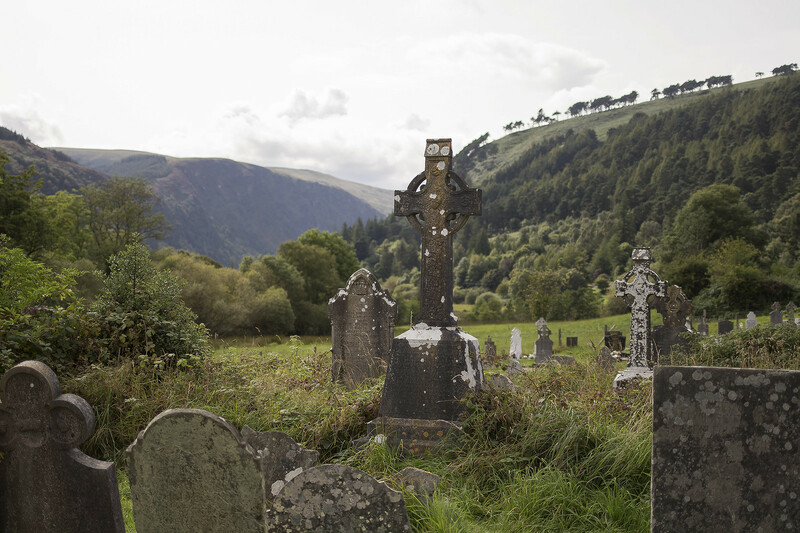 For me, it encapsulated everything I had hoped to find in Ireland. Fast forward to last year, the daydream became a reality and it didn’t disappoint. It can get tiring to live in Dublin, what with its constant business, its high cost of living, its grey weather but that such treasures are on my doorstep (or a bit further), it is pretty special. Now could we a have a decent transport system across the country please? 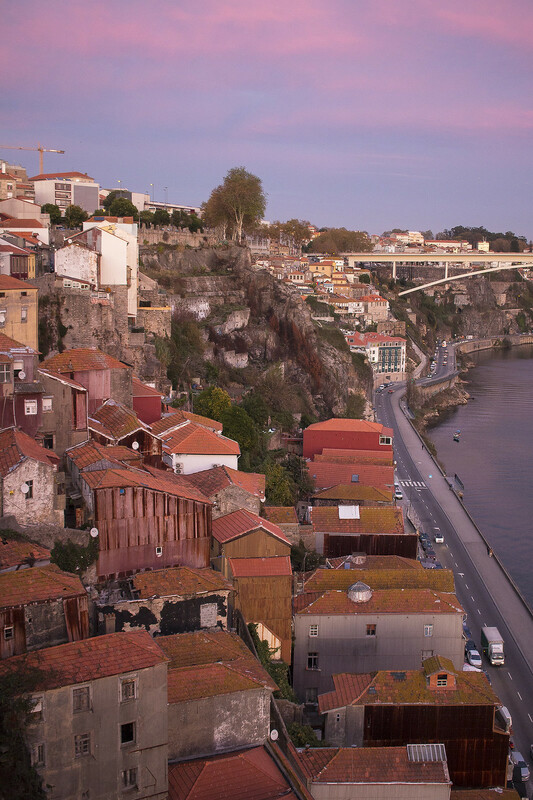 Oh Porto… sigh… if you’ve been reading my blog for a while you know I’ve got a mad crush on Lisbon. Well, it turns out Porto had a similar effect on me, granted they’re very different cities with different atmospheres. On the first evening of my trip to Porto back in November, I already had stars in my eyes. My feet had naturally carried me to the banks of the Douro River (Douro means Gold in Portuguese… the Golden River, how poetic!). I crossed the Dom Luis I Bridge and sat on a bench on the Vila Nova de Gaia’s side. From there, I watched the sun set on Porto, on its colourful house blocks. The sky lit up in vibrant colours for the last day’s hurrah. The weirdly out-of-place looking local boats were coming back to port. Above them, thousands of seagulls were hovering in a synchronised sway. Apparently, I like a sunset!